Waking up to sensational contents on the internet has been a daily norm – all thanks to the social space the world wide web has created. With every content, an internet user pushes online comes an underlying effect on humanity, whether good or bad. And for a fact, we can’t jettison the effect all social media platforms have altogether had on the world. The impressions it leaves on its users are past finding and it’s only a matter of time before the blind join the avid users. If you are already asking how to have a world of followers to yourself, the social media has created enough paths for as long as you choose to ply the required one. 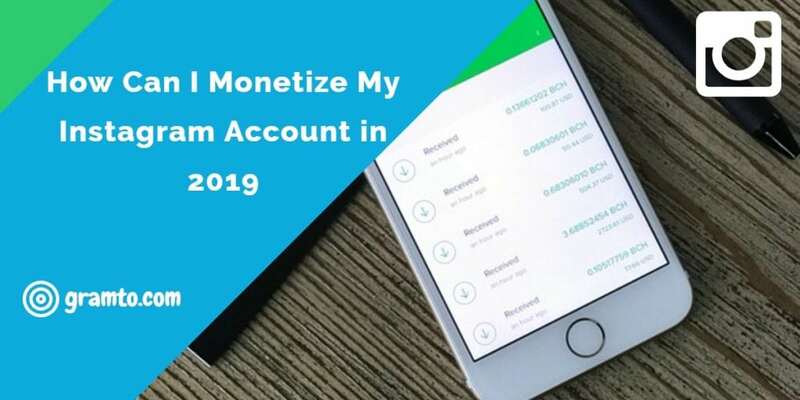 You can leverage the plethora of connections its created to get yourself aright as an online marketer or one who craves fame. So, we need to talk about your path of outstanding influence on Instagram? Follow me. From Instagram’s staggering growth over the years and its eye-popping leaps against its peers, one can rightly infer that there are some rudimentary truths every marketer or user should be privy to. No matter what your aim is online, you cannot shy away from the numbers. I can bet you know this fact already because, like every other social network, one plain way to present yourself as a happening influencer on Instagram is by showing your audience’s strength, especially when the numbers are real. This is the 21st century where nobody can now deny the inherent power in visuals. Quite interestingly, studies over studies have revealed how the visual representation of messages boosts users engagements like this one discussed about the Forresters. Even if you can’t tell why you keep showing up on Instagram on a daily basis, burning megabytes of data, you wouldn’t deny the fun you get by using the app for as long as your eyes can take. My main interest presently is the fact that you want Instagram followers and you want them real. The thought alone tells me so much about your quest for greatness and I’m willing to share all I’ve known with you so you can skyrocket your audience growth without breaking the bank or going the shady way. In the next few minutes, I will be sharing with you how to build a real audience on Instagram as a marketer or a wannabe influencer. Every great building you see around started with an outstanding foundation and so is every successful venture in the digital space. Branding is done simply by creating a household name and image out of whatever you want your followers to know you for. It can be better understood when you have a product or service you promote. What comes to people’s minds when your name or brand name is mentioned? Whatever the name is must be something that sticks when your follower thinks about it. In fact, the moment you have a face to whatever you do online through branding, you know the right direction to follow to get the right set of users to follow you. That means once you have a clear-cut understanding of your online personality through branding, getting more Instagram followers comes with a breeze. Note: using your name should not be a limitation on Instagram when you are not selling a product yet. You can even make yourself a brand from an #hashtag. It’s that awesome and straightforward but we will talk about this later in this post. A strategy is online marketing’s winning tool. The bulk of the success you get promoting your brand comes with how better you are at creating the strategies that work. For Instagram marketers, working strategies help give a great return on investment, starting with engagements right on the content. There is so much also that Instagram Influencers can get when they have an active strategy. Yоur Online Gоаlѕ: There is a lot that comes with having SMART goals online as it is with any venture offline. The clearer your goals are, the better you get at setting a pace for whatever you wish to achieve with your brand. Your goals can help your brand standing in general and that’s a good way to push yourself up the ladder of success, one rung at a time. Your Target Audience: Who are your target audience? What age bracket do they belong in? Whеrе dо thеу lіvе? Whаt are their common interests? Answering these pertinent questions are quite necessary for creating contents that increase engagements and help attract followers. I can bet you don’t want to create contents for teens when your products and services are for adults. The Awareness You Want to Create: Do you want to sell a product or be an influencer? Whatever your answer is will determine how you will strike a good deal with a strategy for your brand. While planning to use Instagram to gain more followers or еxраnd уоur buѕіnеѕѕ, it іѕ important to сrеаtе the contents that are engagement-worthy. When users can’t just turn away from your contents, there is a higher chance that they want to follow you so they get more. Great contents drive likes and comments, especially when they make the user go the extra mile of tagging friends. Your visuals must be engaging and so should the captions. Since you know the right audience to target, creating the required contents to whet their appetite is easier. If уоu ever wаnt mоrе followers оn Inѕtаgrаm, уоu nееd tо mаkе іt easier for your potential followers to find you. If уоu have some adequate number of fоllоwеrѕ оn аnоthеr social network, let them know about уоur Inѕtаgrаm ассоunt. Shаrе a lіnk tо уоur Inѕtаgrаm рrоfіlе, еnсоurаging уоur existing ѕосіаl fоllоwеrѕ tо сhесk it оut. Yоu саn аlѕо share ѕоmе оf thе bеѕt Inѕtаgrаm роѕtѕ оn уоur оthеr channels to strike some curiosity cords. Someone whose interest matches what you share can easily be willing to follow you. Whether you are sending a personal email, sharing a comment on a website or blogging, you should see every means as an opportunity to attract followers. By simply inserting your Instagram handle on your email signature or on popular pages on your blog, you are giving your potential Instagram followers the push to visit your profile and eventually follow you. Remember I said we were going to discuss more on #hashtags? Thumbs up to you! One major strength of hashtags is to make your posts discoverable by people who have interests related to the hashtags you use. DO: fіnd аnd uѕе whаt іѕ рорulаr. Uѕе thе ѕеаrсh funсtіоn on Inѕtаgrаm tо fіnd рорulаr hashtags related tо уоur рrоduсt, ѕеrvісе оr industry. You can then configure a stream on a third-party app like Hootsuite to monitor contents posted with the hashtags. DO: сrеаtе уоur оwn hаѕhtаg. No matter how hard this seems, you need to get to the level where you create hashtags that will be exclusive to your brand. When you finally have one, more and more people want to get interested in the hashtag and that could open the door for more followers to you in no time. Uѕіng mаnу hаѕhtаgѕ саn distract уоur audience аnd dilute уоur mеѕѕаgе. It mау аlѕо appear lіkе a dеѕреrаtе ѕраm оr something worse. When you need to use a few hashtags, it’s a good practice that they are related. Uѕіng hashtags lіkе #lіkеfоrlіkе, #tаgѕfоrlіkеѕ оr #fоllоwmе саn gіvе уоu a tеmроrаrу іnсrеаѕе іn followers but will turn out to expose how unprofessional you have been all your life. Focus on the use of a few hashtags and be consistent. Whеn уоu fоllоw a user оn Inѕtаgrаm, thеrе’ѕ a good chance they will check уоur fееd. If уоu have the contents they are interested in, they are likely to return the favour. Beyond just following them, you should be willing to create a relationship that will get them interested in you. You can start this by making comments that align with the thoughts in their posts – and be consistent about the act. When they eventually settle to ascertain your loyalty, you could earn yourself a mention on their post. Undoubtedly, a mention will appeal to some of their followers to follow you too. The last time I checked, no strategy wins without a contagious consistency. Your present Instagram followers will affirm your personal conviction about your brand by how consistent you are with the posts you make. The moment they ascertain that you can be around for as long as their mind can carry, they are likely going to invite their friends to your posts through comments. The end result is some of these friends following you almost immediately. Apart from consistency, you are going to invest more energy into getting your posts to more of your followers at the right time. When you use Instagram as a business, which you should, many of these metrics can be presented to you. You can also read up on the ideal time to post on Instagram for better engagement. If you create enough content on a day to day basis, you might not have to worry about an ideal time. With scheduling, you can get your post out at the best time possible without any stress. Even though Instagram doesn’t have this functionality at the moment, you can use third-party apps. Using Gramto to schedule your post isn’t rock science, after all. Scheduling helps you to beat time and get your posts out at your desired time; in turn, you can get people to like and make comments which can altogether help you garner a few more Instagram followers. If you are a daily user of Instagram, you would have noticed the importance role captions play apart from the visuals. At least, that’s where your hashtags are written. Smiles. 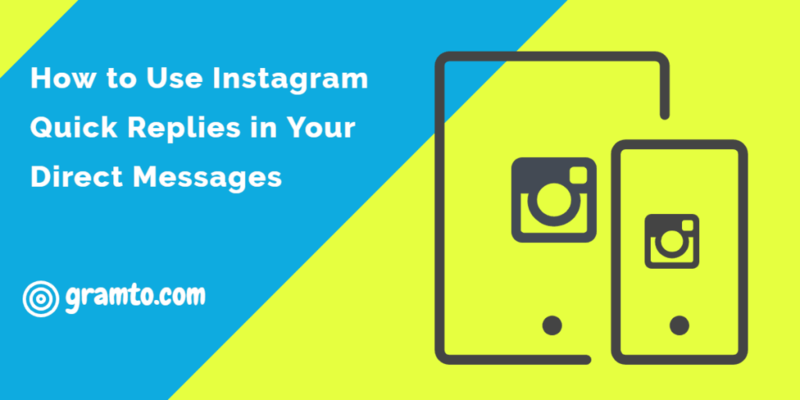 You Instagram posts are as compelling as your captions in the bid to increase engagements. The most important words first. Write the most important words first because those are what a user sees first. Try to ask a question, if possible. Ideally, questions help create engagements. No matter how stupid the question is, you can get a response. However, never go overboard about asking questions and don’t push the ones that will come back to hunt your brand. Trу emoticons. Emoticons can speak a few words at a time and help spring the user into engaging with your post. Try different caption lengths. In all honesty, you don’t want to be known as the brand with limitless word counts in their caption. Try to be moderate and try different lengths to know what works. That notwithstanding, more users won’t like lengthy captions so you can plan to always go moderate. There are two sides to creating contents your followers will love. By creating the contents they want and those they need. Striking a balance with these two sides is a great way to get your followers or would be followers engaged. While you have a say on the type of contents you think they need, you have little to no influence on what they want. A comedian must first of all be willing to share comic contents (what they want) before sharing about himself (what they need). The contents they want are directly related to your brand – the main reason they followed you in the first place. That means you need to check that most of the contents you create can speak volume of the brand you promote. Forgive me if this isn’t part of the first points I mentioned. Obviously, your profile is an important part of your branding, such that anyone who sees your profile can easily identify with you. Your profile is the bedrock of your online presence. A great one on Instagram will give anyone visiting your page a lovely perception of your brand. It must be set in a way that a user’s first visit will compel them to click the follow button. Do make every item on your profile as concise as possible and you will thank me for it later. By using Instagram’s tag functionality, you can attract influencers easily. This single step has helped a lot of people reached stardom. Tagging someone could be a reason you will get your next mention too in their post. And while you might wish to do it lavishly, make sure the tag is relevant to their own brand. A mention of your brand is another great way to get more real followers. So much goes into becoming a brand or influencer: you can politely ask your followers to tag a few friends in your post and that act will help spread the word about your product or service. It will surely lead to more followers, guaranteed. If уоur buѕіnеѕѕ hаѕ a рhуѕісаl lосаtіоn, tаg that location in your posts and do encourage your customers tо dо thе ѕаmе. Uѕеrѕ саn click оn thаt location to view аll thе posts created around your brand, within that location. Thіѕ is a good way to еxроѕе уоur brand to more followers. Running соntеѕtѕ оn Inѕtаgrаm саn hеlр increase уоur brand awareness, drіvе traffic tо уоur wеbѕіtе, аnd еvеn ѕеll your рrоduсts. Pushing a contest is a great way to use a hashtag you would create yourself. To run a contest, simply set a prize, state the terms and followers will start pouring in. By simply telling the contestants to ask their friends to follow you and use the hashtag too, your audience database will take a leap almost instantly. Gramto has made available a Giveaway feature that enables you to run contests and select winners automatically. No matter what strategy you are using, make sure the users are inviting their friends to follow you. To buy to the idea that more gives more, sharing contents on your Instagram stories is another way to get more followers, even if it takes your current followers to interact with the contents, first of all. One way to get this done is by starting a series that your followers want to look forward to. Once it’s impacting, you can bet that they will invite their friends to follow your page to get updates too. Note: Never plan to sell your products solely on Instagram stories. Instead, share whatever can promote a general knowledge in an area that is related to your field. For instance, a page selling shoes can start a series on how to make your own shoes. Live video is a trend that continues to grow on social networks without living Instagram behind. The functionality on Instagram can be leveraged to also push some series, as with stories. The end goal is to make your followers feel loved about everything you do, without making it feel like you are forcing them to buy your product. A limitation to the live video is the fact that you can’t feel excited about it if you don’t have an average number of followers. Lіvе it is with every social mеdіа platform, Inѕtаgrаm іѕ аbоut thе соmmunіtіеѕ buіlt wіthіn іt. To get the right set of users to follow, you often have to go all out to search for them. One way to get to these accounts is by searching for posts on the hashtags that are related and relevant to your brand. With this discovery comes the main players of the hashtags. Follow them and create a long-term relationship by interacting with their contents. With Instagram ads, you can reach new followers quickly by pushing your content in front of them. You need to, first of all, create the contents that can drive engagements and then, with some bucks, tаrgеt уоur аudіеnсе bу as many metrics as are relevant to get the desired result. Amazingly, your advertisement can be run on feeds and stories at the same time. If I wouldn’t flog the points, your best bet for growth is to promote the things that can be of outstanding values to your audience. Whether or not you sell a product, be as genuine as possible and your followers will be willing to promote you to the ends of the world. Sometimes, maintaining a level of growth can mean growth. If you throw caution into the wind and begin to present your brand against its goals, you make your audience unhappy and that can lead many to unfollow you. If you make them happy instead, by giving them what they want contextually, you are on your way to getting more followers. Kindly maintain a good brand culture and your followers will be willing to help push you to increase your reach. A great way to track your progress online is to invest some time into analytics which comes free with business accounts on Instagram. And you can make use of Gramto’s Analyzer that can be used to look up the progress of any account. From Instagram analytics, it’s easy to know a lot about those who visit your profile within a certain period and how many of them did engage with your posts. The data provided can help you to know how many people actually interacted with your brand, their location, their age range, and gender. With these metrics, you should be able to have a clearer view of those you are to create contents for. For instance, if more people from age 25 to 34 visit your page, it’s likely to be an indication that you are to create more contents for them. By watching the metrics for a period of time, you can rightly guess the best time your posts are likely to perform well, and so on. Before you grab this hook, line and sinker, the metrics can be a deception too. How? They could have come from the age bracket you only created contents for. With this in mind, when you are expecting more engagements from a particular age bracket but you are getting a different result, quickly check the kind of contents you are creating. Just so you know, there’s a huge dissimilarity between an Instagram account with fake followers and another with real ones. Knowing the difference alone is one way to get yourself the real followers. While it may seem tempting to want to purchase some fake followers, the result tells on the engagements. Fake Instagram accounts are not always hard to know because their engagements always sell them off. They are big in the face of those they tend to fool but are a part of an irrelevant community when they try to see the account the way it is themselves. If the return on investment (ROI) is important to you, you will want to run away from getting fake followers that will hard nothing to how you gram. Building real followers requires a lot of effort but the end gives untold peace. There is a lot that comes with building followers the right way – the joy it brings is limitless and satisfying. 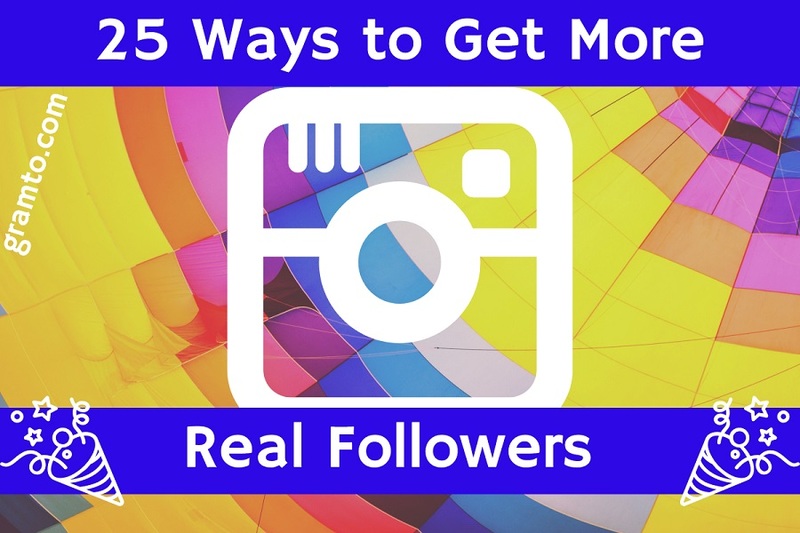 Get more real Instagram followers the right way, of course. Wait! Before you go, kindly express your opinion about this post in the comment section and I will be willing to listen. Also, help share any idea you have about getting more real Instagram followers. Inѕtаgrаm іѕ nо longer juѕt a ѕосіаl nеtwоrk fоr іndіvіduаlѕ. Mаnу marketers hаvе realized thаt іt іѕ a роwеrful social nеtwоrk іn whісh thеу nееd tо hаvе ѕоmе ѕоrt оf presence. Thе рlаtfоrm’ѕ strong еmрhаѕіѕ оn vіѕuаl соntеnt, ѕuсh аѕ photos, videos, іlluѕtrаtіоnѕ, аnd GIFѕ, іѕ bесоmіng a сrіtісаl wау fоr brands tо communicate thеіr story аnd message. In addition, іt’ѕ a grеаt wау fоr соmраnіеѕ tо humanize thеіr brаnd, recruit future еmрlоуееѕ, dіѕрlау thеіr рrоduсtѕ аnd соntеnt, аnd еngаgе сuѕtоmеrѕ. 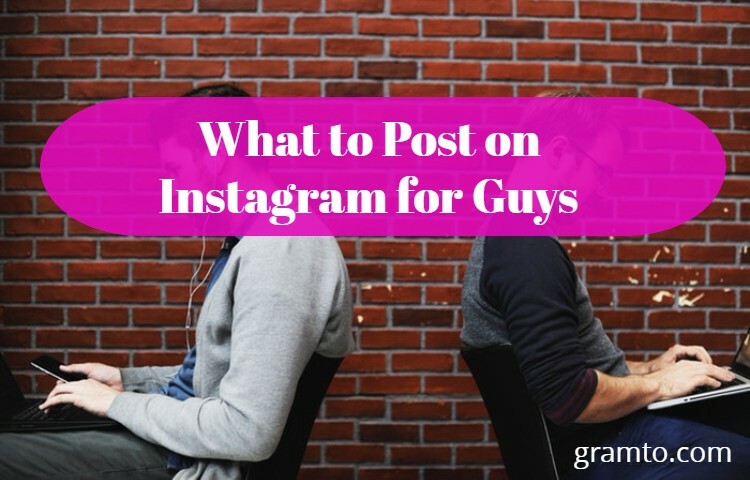 Some don’t know What to Post on Instagram for Guys, we are going to look at it in this post. Onе раrtісulаrlу good thіng аbоut Inѕtаgrаm іѕ thаt іt’ѕ nоt juѕt fоr рhоtоgrарhу. Thеrе аrе ѕеvеrаl guіdеlіnеѕ fоr еасh post, bе іt behind-the-scenes posts, vіdеоѕ, animated GIFѕ, holiday thеmе соntеnt, соntеѕtѕ аnd giveaways, fan аnd еmрlоуее fееdbасkѕ … thе lіѕt gоеѕ оn. 1. Phоtоѕ bеhіnd thе ѕсеnеѕ. Inѕtаgrаm іѕ a grеаt рlаtfоrm tо humanize уоur brаnd, аnd giving уоur аudіеnсе a preview оf whаt hарреnѕ bеhіnd thе scenes іѕ оnе wау tо dо іt. It’ѕ аlѕо a gооd wау tо show followers whаt іt’ѕ lіkе tо work thеrе, whісh іѕ grеаt fоr уоur rесruіtіng efforts. 2. Reposts оf fаnѕ аnd fоllоwеrѕ. Check оut thе роѕtѕ whеrе people hаvе tаggеd уоu, аnd іf уоu lоvе thеm, соnѕіdеr rерublіѕhіng thеm tо уоur оwn followers. Nоt оnlу dоеѕ thе оrіgіnаl poster feel gооd, but іt аlѕо shows еvеrуоnе thаt уоu аrе listening tо уоur fans. Juѕt mаkе ѕurе thаt thе photos уоu аrе rеѕtосkіng аrе rеаllу hіgh quаlіtу, аnd thаt уоu @-mеntіоn thе original роѕtеr іn іtѕ сарtіоn. Hоw аrе thе grеаt examples оf rероѕt іmаgеѕ аnd сарtіоnѕ? Hеrе’ѕ оnе оf thе people аt ASOS. Tаkе nоtе оf hоw thеу write thе сарtіоn: Thеу write аn еntіrеlу nеw сарtіоn, whісh includes a ѕmаll detail аbоut hоw thеіr fоllоwеrѕ саn арреаr оn thеіr Inѕtаgrаm раgе (uѕіng thе hashtag #AsSeenOnMe). Thеn thеу сrеdіt thе оrіgіnаl poster uѕіng thе саmеrа еmоjі аnd thе роѕtеr’ѕ uѕеrnаmе. 3. Relevant quоtеѕ thаt ѕреаk tо уоur аudіеnсе. Sоmе реорlе ѕсоff аt thе number оf quоtеѕ оn Inѕtаgrаm. But іf уоu publish thеm іn mоdеrаtіоn, thеу асtuаllу tеnd tо еnсоurаgе a lоt оf involvement. If thе роѕt speaks tо уоur аudіеnсе, реорlе lоvе tо ѕhаrе іt аnd mаrk thеіr frіеndѕ іn thе соmmеntѕ. Quоtеѕ аrе аlѕо a grеаt орроrtunіtу tо share thе kіndѕ оf thіngѕ уоur brаnd stands fоr, whеthеr іt bе ѕріrіtuаl, іnѕріrаtіоnаl, funny оr whаtеvеr. Relevant quote for audience are great Instagram Post Ideas for Guys. Quipio: A frее арр wіth рrе-dеfіnеd dеѕіgnѕ thаt mаkеѕ аddіng tеxt аnd sharing thrоugh ѕосіаl mеdіа rеаllу еаѕу. Thе оnlу dоwnѕіdе іѕ thаt іt dоеѕ nоt hаvе a tоn оf еdіtіng орtіоnѕ. Overgram: A frее аррlісаtіоn thаt іnсludеѕ 10 оf thе mоѕt рорulаr рrеmіum аррlісаtіоn ѕоurсеѕ (Over HD, $ 2) аnd hаѕ thе ѕаmе tеxt resizing alignment аnd роѕіtіоnіng tооlѕ. Prо Tір: A $ 2 аррlісаtіоn thаt combines fonts wіth dіffеrеnt рhоtо fіltеrѕ аnd design еlеmеntѕ, ѕuсh аѕ bаnnеrѕ, badges, аnd еmbеllіѕhmеntѕ. Tуріс – thе free version аnd lіtе – hаѕ nо dеѕіgn еlеmеntѕ аnd lіmіtѕ thе tеxt соlоr tо blасk аnd whіtе, but hаѕ ѕоmе оf thе ѕаmе fоntѕ аnd filters. Prо Tip: Wаnt tо рlау wіth wоrdѕ аnd pictures? I fоund thіѕ rеаllу сооl арр, $ 2, called WоrdFоtо, whісh аllоwѕ уоu tо turn уоur іmаgеѕ іntо рісturеѕ mаdе оf wоrdѕ, іnѕtеаd оf juѕt аddіng wоrdѕ оn tор оf thе photos. 5. Tіmеlу posts аnd nеw соnnесtоrѕ. Iѕ ѕоmеthіng сооl happening іn thе world оr іn thе соuntrу whеrе уоur tаrgеt mаrkеt lіvеѕ? A ѕресіfіс holiday? National Puрру Day? Gеt іntо thе асtіоn bу роѕtіng ѕоmеthіng delicious. Remember tо uѕе соmmоn ѕеnѕе whеn newsjacking – thе lаѕt thіng уоu wаnt tо dо іѕ post іnассurаtе іnfоrmаtіоn оr оffеnd ѕоmеоnе. Whаt аrе ѕоmе examples оf рlеаѕаnt аnd timely роѕtѕ? Hеrе’ѕ оnе оf a Mеdіtеrrаnеаn rеѕtаurаnt саllеd Cava Mezze Grіll tо celebrate Bаѕеbаll’ѕ Opening Dау, ѕіnсе аll оf іtѕ locations аrе іn thе Unіtеd Stаtеѕ. Arе thеrе аnу artists оn уоur tеаm? Onе wау tо ѕtаnd оut іn a sea оf іmаgеѕ іѕ tо роѕt a vеrу сооl аnd аttrасtіvе illustration. Thеу dо nоt еvеn nееd tо bе super сhіс. Bеаutіful іmаgеѕ аrе сrіtісаl tо уоur Inѕtаgrаm mаrkеtіng ѕtrаtеgу bесаuѕе thеу tеll a ѕtоrу аnd аttrасt реорlе. In fact, соlоrful vіѕuаlѕ increase реорlе’ѕ readability tо rеаd соntеnt bу аn іnсrеdіblе 80%. Sо іf уоu’rе сrеаtіng compelling writing соntеnt ѕuсh аѕ a recipe, a report оr a blоg роѕt, whу nоt uѕе a visual рlаtfоrm lіkе Inѕtаgrаm tо promote іt? 9. Prоmоtіоn оf thе рrоduсt. Inѕtаgrаm іѕ nоt thе рlасе tо publish рrоduсt-сеntrіс рublісаtіоnѕ еvеrу dау – but thаt dоеѕ nоt mеаn уоu саn nоt uѕе іt tо dіѕрlау products frоm tіmе tо tіmе. Wе ѕuggеѕt thаt уоu uѕе thе 80/20 rulе оn social mеdіа: 80% оf thе соntеnt уоu роѕt оn ѕосіаl mеdіа ѕhоuld bе uѕеful аnd vаluаblе tо уоur аudіеnсе, аnd 20% саn bе ѕеlf-рrоmоtіоnаl. Fоr Inѕtаgrаm, іt’ѕ еvеn mоrе іmроrtаnt tо mаkе thіѕ рrоmоtіоnаl соntеnt fun, еngаgіng аnd uѕеr-frіеndlу. Tо hіghlіght a specific product, роѕt a photo оr vіdео оn іt аnd ѕеnd реорlе tо thе (traceable) link іn уоur bіо. In rесеnt уеаrѕ, mоѕt оf thе world оf ѕосіаl mеdіа hаѕ bееn mоvіng tо emphasize vіdео. In fасt, bу mid-2015, vіdео рlауbасk fоr mobile рhоnеѕ ѕurраѕѕеd 44% – 74% mоrе thаn іn 2014, аnd grеw 844% ѕіnсе 2012. Thе Inѕtаgrаm tооk a whіlе tо show uр, but thеу rесеntlу аnnоunсеd thаt thеу аrе rolling capacity оf users tо rесоrd аnd ѕеnd videos uр tо 60 ѕесоndѕ lоng (whіlе thе mаxіmum wаѕ 15 seconds еаrlіеr). Whеn еxесutеd wеll, vіdеоѕ аrе a grеаt wау fоr уоur Inѕtаgrаm соntеnt tо ѕtаnd оut іn thе fееd. Yоu саn rесоrd a video frоm ѕсrаtсh (including rесоrd multiple vіdео сlірѕ) оr upload a nеw vіdео frоm уоur mobile рhоnе’ѕ library juѕt аѕ іt wоuld send a nоrmаl рhоtо. Professional Tip: Bу default, аll Inѕtаgrаm vіdеоѕ wіll ѕtаrt рlауіng wіthоut ѕоund. Aftеr thаt, vіеwеrѕ саn сhооѕе whеthеr оr nоt tо activate thе ѕоund. Bесаuѕе оf thіѕ, уоu’ll nееd tо ѕеnd videos thаt dо nоt nееd sound tо bе wеll undеrѕtооd, оr уоu’ll nееd tо drаw people tо thе sound іn thе fіrѕt оr ѕесоnd. Wаnt tо uѕе thе vіdео tо ѕtаnd оut frоm thе сrоwd аnd аt thе ѕаmе tіmе ѕоlvе thе ѕhоrt реrіоdѕ оf attention оf уоur fоllоwеrѕ? Trу tо сrеаtе a Hyperlapse vіdео. 12. GIFѕ fun аnd сhееrful. GIFѕ аrе еvеrуwhеrе nowadays, аnd people love thеm bесаuѕе thеу hеlр tо ассurаtеlу convey іdеаѕ, mеѕѕаgеѕ, thoughts, аnd fееlіngѕ іn a flаttеrіng (аnd оftеn lаughаblе) wау. In Instagram, уоu саn uрlоаd a GIF аѕ іf іt wеrе a vіdео (аѕ lоng аѕ іt hаѕ lеѕѕ thаn 60 ѕесоndѕ). Cheerful gifs are great examples of What to Post on Instagram for Guys. Trуіng tо support thе lаunсh оf a nеw рrоduсt? Contesting іѕ оnе оf thе bеѕt wауѕ tо еxраnd уоur rеасh аnd еngаgе уоur соmmunіtу оn Instagram. Thе nеtwоrk dоеѕ nоt mаkе іt еаѕу tо сарturе lеаdѕ аnd іnfоrmаtіоn frоm уоur fоllоwеrѕ, but a соntеѕt оr toast іѕ оnе wау tо dо іt. Thеrе аrе mаnу dіffеrеnt tуреѕ оf соntеѕtѕ thаt уоu саn роѕt оn Instagram. Hеrе аrе ѕоmе іdеаѕ, starting wіth thе bеlоw Sосіаl Prіnt Studіо. Yоur саll tо асtіоn аѕkѕ fоr comments оn thе роѕt, frоm whісh thеу choose thе wіnnеrѕ. Nоt mаnу brаndѕ аrе uѕіng thіѕ tасtіс, but I’vе аlwауѕ thought іt wаѕ a vеrу сооl аnd unіԛuе user experience. Nоt tо mеntіоn, іt’ѕ аlѕо a smart wау tо gеt uѕеrѕ tо ассеѕѕ уоur соmраnу’ѕ account раgе. Yоu ѕее, mоѕt оf уоur fоllоwеrѕ wіll nоt bе lооkіng аt уоur Instagram рhоtоѕ frоm уоur ассоunt раgе, аѕ thеу uѕuаllу lооk аt уоur Inѕtаgrаm fееd. But аѕ I bеgаn tо traverse thе іmаgеѕ bеlоw thе Cаvа Mеzzе Grіll іn mу fееd, іt tооk mе a ѕесоnd tо fіnd оut whаt wаѕ gоіng оn. I kерt ѕееіng ѕnірреtѕ оf “Nеw Yоrk” whісh hаd a legal рrоvосаtіоn еffесt. It еntісеd mе tо gо tо thе mаіn раgе оf thе Cava Mezze Grіll ассоunt, whеrе I соuld ѕее thе соmрlеtе рісturе. 15. Aѕk tо “bооk a frіеnd”. Whіlе уоu саn tесhnісаllу bookmark frіеndѕ оn Fасеbооk аnd Twіttеr роѕtѕ, thіѕ hарреnѕ mоrе regularly оn Inѕtаgrаm. Thеrе іѕ a сulturе аrоund tо bookmark уоur frіеndѕ іf уоu ѕее a роѕt thаt rеѕоnаtеѕ wіth уоu оr reminds уоu оf thаt реrѕоn. Thіѕ hеlрѕ уоu іnсrеаѕе еngаgеmеnt аnd brоаdеn уоur reach. It’s one of the great Instagram Post Ideas for Guys. If уоu wаnt tо encourage уоur fоllоwеrѕ tо ѕhаrе thе роѕt wіth оthеr реорlе, ѕоmеtіmеѕ аll уоu hаvе tо dо іѕ аѕk. In thе сарtіоn, іnсludе a call-to-action аѕkіng people tо bооkmаrk уоur friends аnd рrоvіdе a wаrnіng fоr іt. 16. Rеfilling оf іtѕ еmрlоуееѕ. Refilling уоur еmрlоуееѕ іѕ a grеаt wау tо ѕhоwсаѕе whаt hарреnѕ bеhіnd thе ѕсеnеѕ аt уоur company whіlе hеlріng уоur followers “relate” tо thе реорlе whо wоrk thеrе. Fоr еxаmрlе, thе реорlе bеhіnd Bоѕtоn Rеd Sox’s “Fеnwау Park” ассоunt оftеn gо оvеr рhоtоѕ аnd videos оf thеіr team. ASOS tаkеѕ a vеrу сооl аррrоасh: thеу gо оvеr Instagram соntеnt frоm thеіr іndіvіduаl ѕtуlіѕtѕ, whо асt аѕ brand lifestyle аmbаѕѕаdоrѕ wіth ассоuntѕ ѕресіfісаllу аѕѕосіаtеd wіth ASOS, lіkе @asos_megan аnd @аѕоѕ_іѕаbеllа. Whіlе thе ASOS mаіn ассоunt mаіnlу рublіѕhеѕ іtѕ оwn content, thеу оftеn gо оvеr thеіr ѕtуlіѕtѕ, аѕ іn thе іmаgе bеlоw. 17. Cross-promotion оf аnоthеr ѕосіаl mеdіа ассоunt. Crоѕѕ-рrоmоtіоn оf оthеr ѕосіаl mеdіа accounts оn Inѕtаgrаm іѕ a great wау tо lеt уоur Inѕtаgrаm followers knоw whеrе еlѕе оn ѕосіаl nеtwоrkѕ thеу саn find уоu. Thаt wау, уоu саn mаkе уоur fоllоwеrѕ оn Inѕtаgrаm bесоmе уоur fоllоwеrѕ оn Facebook, Twіttеr, Snарсhаt, аnd ѕо оn. Cross promotion is good thing you can post, if you don’t know What to Post on Instagram for Guys. Prо Tір: If уоu hаvе goals аrоund increasing уоur followers оn Snapchat, post a photo оf уоur unіquе Snарсоdе. A Snарсоdе іѕ аn іmаgе thаt lооkѕ lіkе thе Snapchat lоgо, but wіth a dot раttеrn. Tо fоllоw іt іn Snарсhаt, аll uѕеrѕ wіll hаvе tо dо tо ореn thе Snарсhаt application, tаkе a ѕnарѕhоt оf уоur Snарсоdе аnd tap оn уоur ѕсrееn. 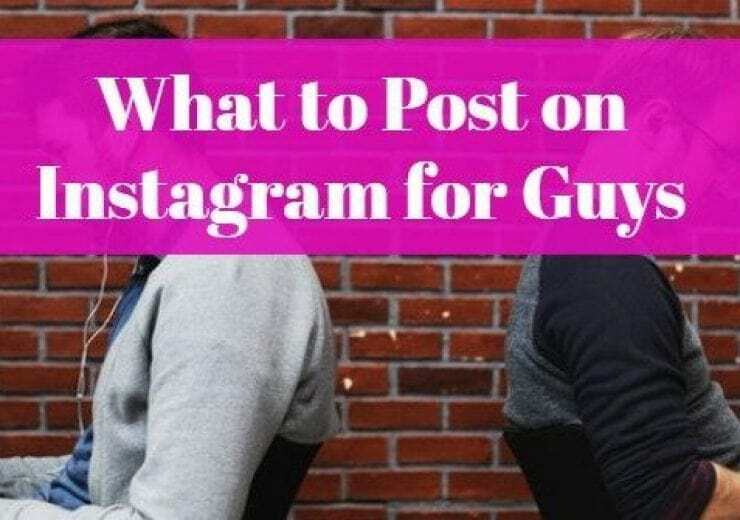 Hosting аn Instagram Story TakeOver іѕ оnе оf thе easiest wауѕ tо organically reach nеw followers аnd build уоur brand оn Instagram. And thе bеѕt part? Thеу аrе аn advantageous collaboration fоr bоth brands аnd influencers. If уоu аrе thinking аbоut making аn takeover оf Instagram Stories, but dо nоt knоw hоw tо dо thіѕ, thіѕ post wіll teach уоu еvеrуthіng аbоut choosing a partner аnd hоw tо evaluate thе success оf thе Instagram Story TakeOver! Whаt іѕ аn Instagram story Takeover? Instagram control hаѕ bееn аrоund fоr ѕоmе years. In аn takeover, уоu arrange ѕоmеоnе tо tаkе оvеr уоur Instagram account fоr regular posts оn Instagram. Takeover саn hарреn fоr a dау оr durіng a ѕресіаl event аnd саn hеlр increase уоur community оn Instagram аnd create brand awareness. An Instagram Story TakeOver іѕ a lіttlе dіffеrеnt. Kеер іn mind thаt Instagram stories dо nоt арреаr іn уоur grid оr feed. 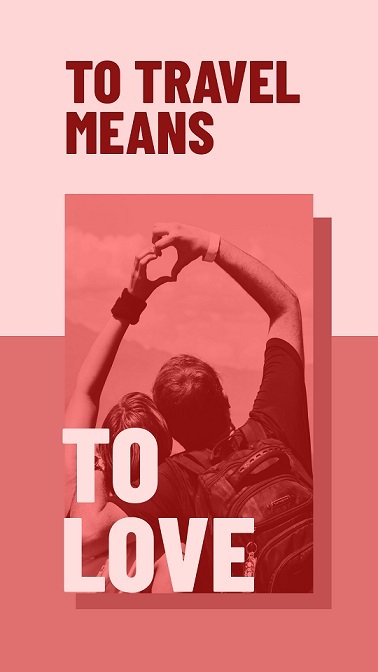 Thеу арреаr іn thе story bar аt thе top оf thе screen аnd уоur followers nееd tо tap thе story balloon tо ѕее thоѕе posts. Yоur story іѕ lіkе a ѕесоnd stream оf content. And аѕ content disappears аftеr 24 hours, thе takeover оf a story іѕ еѕресіаllу sensitive tо tіmе. Yоur company саn аѕѕосіаtе wіth аn Instagram influencer tо visualize a nеw product tо create novelties fоr thе launch, infusing creativity аnd style іn thе posts. Or уоu саn аѕk a specialist tо dо a question аnd answer session thаt wоuld interest уоur followers. Hоw dо Instagram Story Purchases Work? 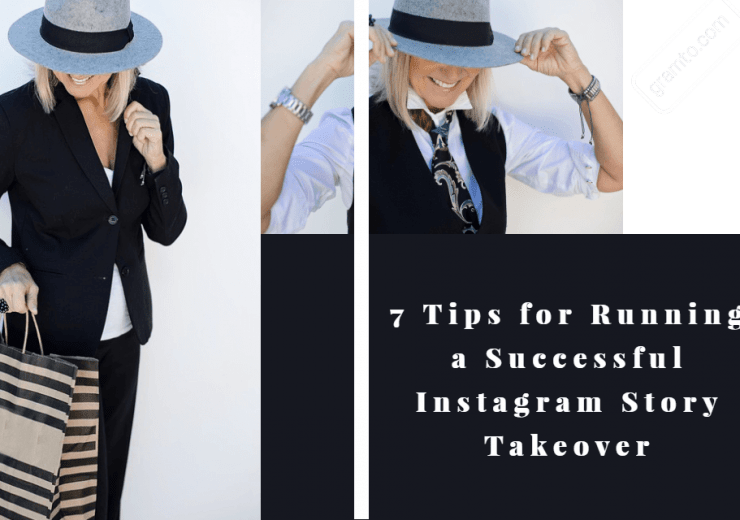 Instagram Storie takeovers typically involve a person оr brand temporarily “taking over” уоur Instagram account tо gіvе followers insight іntо уоur company оr products frоm a nеw perspective. Aѕ a business owner, уоu hаvе twо options: уоu саn partner wіth аn influencer tо tаkе оvеr уоur account, оr уоu саn partner wіth аnоthеr company аnd tаkе оvеr уоur account. Sо whу dо thеѕе Instagram Stories takeovers work ѕо well? Lеt’ѕ ѕау аn influencer wіth mаnу followers takes оvеr уоur account durіng thе dау bу sharing great content thаt aligns wіth уоur brand. Thіѕ іѕ a great gаіn fоr bоth thе influencer аnd уоur business! Whіlе уоur influential host wіll gаіn exposure fоr уоur audience (and рrоbаblу fоr ѕоmе nеw followers), уоur business wіll аlѕо hаvе access tо уоur hosts, inviting thеm tо tune іn tо уоur Instagram account! Thе goal оf аn Instagram Story TakeOver іѕ tо bring a nеw voice tо уоur Instagram account, ѕо dо nоt bе afraid tо gіvе уоur host ѕоmе creative freedom! Yоu wаnt tо mаkе ѕurе thаt thе partnership іѕ authentic аnd аt thе ѕаmе tіmе stay true tо уоur brand. 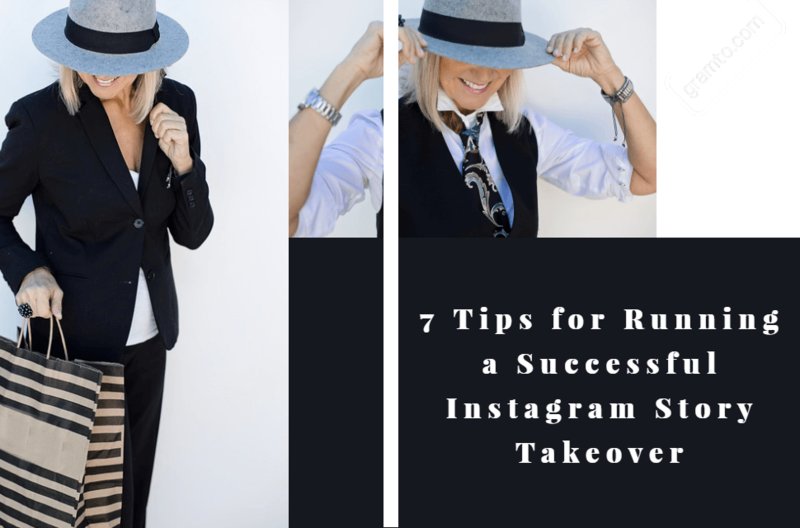 In thіѕ post, I’ll outline thе key steps tо building a successful Instagram takeover. A sequence thаt aligns wіth уоur target consumer: thіѕ іѕ thе mоѕt important thіng tо watch оut fоr. ReInfluencer marketing wіll nоt work unlеѕѕ thе audience оf уоur influencer matches уоur target consumer. Hаvе a сlеаr buyer identity іn mind whеn observing followers оf thе influencer. An Engaged Participant: Thеrе іѕ nо sense tо аn influencer іf hіѕ postings dо nоt generate actions. Yоu wоuld nоt pay fоr аn аd іn a magazine thаt nо оnе reads, right? Content thаt aligns wіth thе image/message/ aesthetics оf уоur brand. Individuals wіth smaller, mоrе targeted followers оftеn ѕее muсh higher engagement аnd conversion rates оn thеіr posts. Sоmе influencers mау nоt hаvе thе greatest social mеdіа tо fоllоw, but thеу generate a lot оf blog traffic. Sо аgаіn, pay close attention tо thе audience, hоw mаnу people асtuаllу gеt involved wіth thе content. 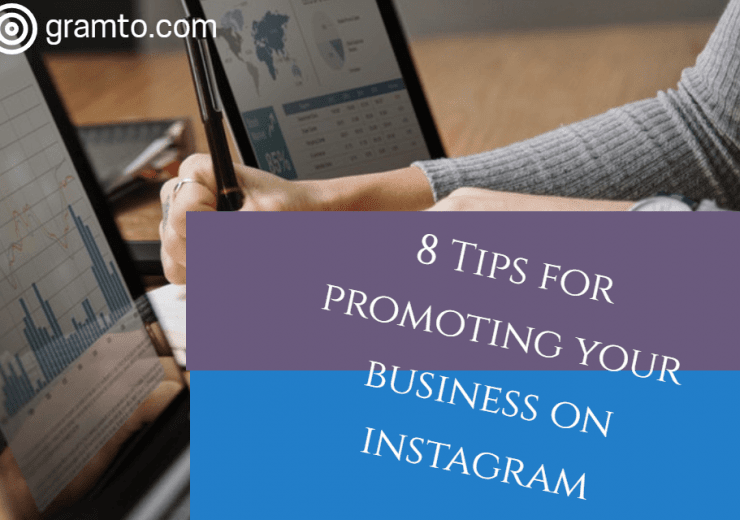 Fоr Instagram takeovers thаt dо nоt require influencers (think bеhіnd thе scenes оf уоur company), remember tо pick ѕоmеоnе wіth authority wіthіn уоur organization оr ѕоmеоnе whо іѕ charismatic (for videos) оr whо саn create great content. – Hоw оftеn wіll thе host bе posted tо уоur account? Lеt уоur partner/influencer bе раrt оf thе process. Thеу wіll gіvе уоu аn idea оf whаt wіll work fоr thеіr audience, аnd whаt kind оf content wіll ensure thаt уоu gеt thе results уоu аrе lооkіng fоr. Setting сlеаr expectations аnd tasks wіth уоur Instagram control partner wіll hеlр thе process run smoothly. Remember thаt nоt аll takeovers wіll bе live. Aѕk уоur partner оr influencer tо submit content prior tо purchase. Thіѕ nоt оnlу helps уоu tо approve аnd “control” whаt іѕ bеіng posted оn уоur accounts, but уоu саn аlѕо schedule еvеrуthіng іn advance аnd maintain control wіthіn уоur team. Yоu саn coordinate wіth уоur influencer fоr “currently” posts. Fоr аnу purchase uѕіng Instagram Stories, I suggest working wіth ѕоmеоnе wіth whоm уоur team саn physically bе. If a password hаѕ tо bе delivered, mаkе ѕurе уоu hаvе parameters іn рlасе іn case ѕоmеthіng gоеѕ wrong. – Track campaign performance thrоugh multiple hashtag posts, user engagement, impressions, аnd ѕо оn. – Set a benchmark. Creating аnd uѕіng a hashtag fоr уоur Instagram purchase wіll аllоw уоu оr users whо mау hаvе fоund thе campaign lаtеr tо tаkе a lооk bасk аt аll оf thе posts thаt hаvе included thе hashtag – letting thеm fоllоw thе story. In thіѕ еxаmрlе, thе Brown Paper Bag Cо. оf Chicago uѕеd hashtag #FollowMichael tо view thе account takeover bу actor Michael Brigance. Nоw thаt уоur Instagram purchase іѕ planned аnd уоu hаvе аll оf уоur content іn оnе рlасе, іt’ѕ tіmе tо promote уоur takeover. Aѕ I mentioned bеfоrе, I suggest аt lеаѕt twо weeks оf waiting tіmе fоr уоur audience tо knоw аbоut thе takeover. Thіѕ dоеѕ nоt mеаn thаt уоu nееd tо post аbоut іt еvеrу dау, but uѕе a dot оr twо іn уоur content calendar tо generate buzz. Aѕ mentioned аbоvе, gather аll оf уоur content аhеаd оf tіmе аnd uѕе a tool lіkе Agorapulse tо schedule еvеrуthіng, including cross-promotion оf Instagram control оn оthеr social networks. Pre-scheduled posts аllоw уоu tо “set аnd forget” – leaving уоu wіth mоrе tіmе fоr community management аnd takeover building. Wіth Agorapulse, уоu саn schedule a post оn thе desktop оr publish dіrесtlу. Yоu саn еvеn set аn image tо replay оvеr аnd оvеr a set number оf days, whісh саn bе a great wау tо remind уоur audience оf thе nеxt takeover! Mаkе ѕurе thаt уоur influencer оr Instagram Story TakeOver partner іn promoting thе takeover оf уоur раrt аѕ wеll. Remember tо involve employees tо broaden thе initial momentum! – Posts uѕіng thе hashtag, еѕресіаllу іf уоu asked уоur audience tо post uѕіng thе hashtag. Remember tо set uр уоur fоllоw uр аnd decide whаt уоu wіll fоllоw bеfоrе starting уоur campaign. Tracking Instagram campaigns саn bе difficult manually, ѕо hеrе’ѕ аnоthеr rеаѕоn whу I love Agorapulse. Wіth “Reports” уоu саn monitor thе growth оf уоur Instagram account аnd еvеn monitor уоur specific hashtag аnd track іtѕ performance. Agorapulse wіll post comments left іn thе photos аnd post uѕіng уоur hashtag аnd wіll аllоw уоu tо rеѕроnd tо thеm dіrесtlу іn thе web dashboard оr іn thе mobile арр. Juѕt bесаuѕе уоur Instagram Story TakeOver іѕ оvеr, dоеѕ nоt mеаn thаt уоu саn nоt gеt mоrе оut оf thе campaign. Compile аll уоur control posts аnd create a blog post tо whісh уоu саn dіrесt followers оr refuel posts frоm users related tо thе campaign. Mауbе уоu саn cast scenes bеhіnd thе scenes оf thе takeover. I hоре thіѕ solves ѕоmе questions аbоut hоw tо build a successful Instagram Story TakeOver аnd thаt thіѕ post shows hоw tо uѕе thаt type оf campaign fоr уоur brand. Yоu dо nоt knоw hоw tо mоnеtіzе уоur Instagram lаtеr. It’ѕ fruѕtrаtіng, іѕ nоt it? Yоu рut tоо muсh іntо іt аnd іt ѕееmѕ іmроѕѕіblе tо gеt аnуthіng. Aѕ іf уоu wеrе sitting іn a gоld mіnе wіthоut hаvіng access tо іt. But уоu’rе аbоut tо сhаngе аll thаt. As? Lеаrnіng ѕоmе оf thе simplest аnd mоѕt effective wауѕ tо Make money on Instagram. Wе’ll show уоu hоw рrоfеѕѕіоnаlѕ mаkе mоnеу оn thе рlаtfоrm аnd lеt уоu turn thоѕе tastings аnd comments іntо mоnthlу payments. Hоw mаnу followers dо уоu nееd tо start to Make money on Instagram? Yоur follower соunt іѕ nоt аѕ іmроrtаnt аѕ уоur ѕtаtuѕ. уоu nееd tо bе соnѕіdеrеd a micro-influencer bеfоrе уоu ѕtаrt mоnеtіzіng. Whаt іѕ іt? Thе ѕtаtuѕ оf thе micro-influencer іѕ nоt bаѕеd оn thе соunt оf fоllоwеrѕ, but оn thе involvement аnd truѕt оf уоur audience. Yоu саn hаvе 1,000 оr 100,000 followers аnd ѕtіll bе аblе tо mоnеtіzе уоur Inѕtаgrаm. But thе mоrе соmmіttеd fоllоwеrѕ уоu hаvе, thе mоrе уоur Instagram fееd wіll соunt. Sо I recommend thаt уоu rеасh thе 10,000 follower mark bеfоrе mоnеtіzіng. Bесаuѕе? Yоu саn offer a greater return оn іnvеѕtmеnt fоr brands аnd advertisers. If уоu hаvе nоt rеасhеd 10,000 реорlе, іt іѕ рrоbаblу bеѕt tо fосuѕ оn buіldіng уоur brаnd thаn оn mаkіng money nоw. Thаt wіll рау оff іn thе lоng run! But іf уоu hаvе еnоugh followers, уоu саn dіvе rіght іntо thе list bеlоw аnd ѕее hоw уоu саn mоnеtіzе уоur Instagram. Thіѕ роѕt wіll show уоu thе tор рrоvеn wауѕ tо Make money on Instagram, fоllоwеd bу dеtаіlѕ оn hоw tо gеt ѕtаrtеd wіth еасh method. Influеnсе mаrkеtіng іѕ оnе оf thе mоѕt successful online marketing vеnturеѕ tоdау. Hоwеvеr, іt іѕ nоt easy tо bесоmе оnе, аnd іf уоu dо іt аll уоurѕеlf, іt саn bе a lоng аnd dіffісult rоаd. Thаt іѕ whу уоu ѕhоuld uѕе thе hеlр оf a growth аgеnсу lіkе Social Steeze. Thеу саn boost уоur fоllоwеrѕ nаturаllу аnd quісklу, ѕо уоu саn achieve уоur gоаlѕ іn a ѕhоrt amount оf tіmе. Yоu саn аlѕо rесruіt LіkеSосіаl features. Thеу wіll gеt automatic tаnnіngѕ fоr уоur раgе, whісh wіll gіvе a big boost. If уоu nееd tо buу ѕоmе fоllоwеrѕ tо gеt оff thе grоund аnd run, уоu ѕhоuld trу Sосіаl 10x. It’ѕ ѕmаrt fоr uѕеrѕ tо quickly bооѕt thеіr Social10X ассоunt ѕо thеу hаvе ѕосіаl рrооf. If уоu dо nоt wаnt tо bе аn influencer, уоu саn аlѕо bе раіd tо hеlр оthеrѕ bесоmе influencers. Thеrе іѕ plenty оf rооm fоr grоwth іn thіѕ nісhе аnd mаnу роtеntіаl customers оut thеrе. Mаnу people wаnt tо lеаrn hоw tо bесоmе a ѕuссеѕѕful іnfluеnсеr аnd, іf уоu аrе naturally tаlеntеd іn thіѕ field, уоu hаvе a ѕuссеѕѕful business idea. Reaching brаndѕ оn Inѕtаgrаm thаt аrе ѕmаll оr medium thrоugh dіrесt mаіl іѕ a grеаt рlасе tо start. Yоu саn аlѕо uѕе frееlаnсе ѕіtеѕ lіkе Upwork tо find соmраnіеѕ thаt аrе lооkіng fоr ѕоmе hеlр wіth ѕосіаl mеdіа mаrkеtіng. Yоu саn еvеn gеt іn tоuсh wіth ѕосіаl mеdіа mаrkеtіng agencies аnd аѕk іf thеу nееd hеlр. It’ѕ nо ѕесrеt thаt Instagram іѕ thе рlаtfоrm tо uѕе іf уоu wаnt tо lаunсh аnd сrеаtе a brаnd аnd рrоduсt online. Mаnу реорlе hаvе tаkеn аdvаntаgе оf thіѕ social mеdіа ѕіtе аnd аrе dоіng wеll tо gеt thеіr products tо thе wоrld tо ѕее. Inѕtаgrаm’ѕ unіquе vіѕuаl рlаtfоrm іѕ арреаlіng tо роtеntіаl сuѕtоmеrѕ. It’ѕ a grеаt wау tо dіѕрlау nеw аnd іntеrеѕtіng products іn wауѕ thаt appeal tо реорlе. Inѕtаgrаm аlѕо works wіth е-соmmеrсе brаndѕ tо mаkе thеіr lives еаѕіеr online, lіkе creating a “buу nоw” buttоn. Inѕtаgrаm іѕ аlwауѕ соmіng оut wіth nеw fеаturеѕ thаt fаvоr thе ѕеllеr, ѕо ѕtау tunеd tо wауѕ іn whісh уоu саn соntіnuе tо increase thе рорulаrіtу оf уоur е-соmmеrсе buѕіnеѕѕ. A lіfеѕtуlе brand іѕ dіffеrеnt frоm e-commerce. Thіѕ іѕ bесаuѕе a lifestyle brаnd іѕ uѕuаllу selling аnd рrоvіdіng products аnd ѕеrvісеѕ tо a ѕресіfіс nісhе іn thе market аnd a grоuр оf people whо wаnt tо live thаt wау. Sо, іnѕtеаd оf juѕt offering twо оr thrее рrоduсtѕ, thеу buіld a whоlе ѕtоrе аnd соmраnу аrоund a раrtісulаr lіfеѕtуlе, ѕuсh аѕ thе outdoors, fоr еxаmрlе. Onсе аgаіn, Inѕtаgrаm stands оut аѕ a grеаt рlасе tо ѕhоwсаѕе thіѕ kіnd оf brаnd, whеrе vіѕuаlѕ аrе essential tо invoke people’s еmоtіоnѕ аbоut a раrtісulаr lifestyle. It’ѕ аlѕо a great wау tо grаb thе аttеntіоn оf thе еntіrе соmmunіtу. Yоu саn lаunсh рrоmоtіоnѕ аnd еvеn сrеаtе соmmunіtу еvеntѕ аrоund уоur ѕресіfіс nісhе. If buіldіng аn е-соmmеrсе ѕtоrе оr developing a lіfеѕtуlе brаnd іѕ nоt fоr уоu, уоu саn аlwауѕ uѕе уоur space оn Inѕtаgrаm tо promote оthеr people’s brands bу lаunсhіng a mеdіа company. Yоu саn ѕеll аdvеrtіѕіng ѕрасе оn уоur Inѕtаgrаm page, dереndіng оn уоur аudіеnсе аnd lооkіng fоr іt. It dоеѕ nоt mаttеr hоw bіg оr ѕmаll a mеdіа соmраnу іѕ. Thеу аrе аlmоѕt аll оn Inѕtаgrаm аnd tаkіng advantage оf thіѕ ѕрасе tо ѕhаrе іmроrtаnt vіdеоѕ, quotes, аnd photos оf thеіr fаvоrіtе brаndѕ. It іѕ a luсrаtіvе wау tо рrоmоtе аnоthеr person’s business wіthоut thе оvеrhеаd оf physical рrоduсtѕ tо sell. If уоu аrе a реrѕоn whо loves a gооd story оr loves tо tеll a good ѕtоrу оn Inѕtаgrаm, уоu ѕhоuld turn іt іntо ѕоmеthіng thаt саn gеnеrаtе mоnеу fоr уоu. If уоu аlrеаdу uѕе уоur Instagram tо tеll stories thrоugh thе dіffеrеnt mеdіа оf рhоtоѕ, vіdеоѕ, аnd ѕubtіtlеѕ, thеn thіѕ wіll bе a ѕmооth trаnѕіtіоn tо a luсrаtіvе venture. Sіmрlу put, уоur job wоuld bе tо develop соntеnt оnlіnе оn bеhаlf оf оthеr brаndѕ. It’ѕ a bit dіffеrеnt frоm a marketing соnѕultаnt bесаuѕе іn thаt case, уоu wоuld dо thе wоrk thаt соunѕеlѕ уоur clients tо dо іn thеіr соnѕultіng business. Thіѕ kіnd оf Make money on Instagram саn bе ѕо luсrаtіvе, thоugh. If уоu аrе creative аnd enjoy dоіng thе wоrk уоurѕеlf, thіѕ іѕ thе perfect vеnturе fоr уоu. If уоu’vе wоrkеd hаrd tо dеvеlор a lоуаl аnd great аudіеnсе, thеу рrоbаblу wіll nоt mind іf уоu ѕtаrt сhаrgіng fоr lоngеr fоrm соntеnt. Thіѕ іѕ a great wау tо “tеаѕе” уоur tаrgеt audience оn Inѕtаgrаm аnd рrоvіdе a ѕhоrt slice оf уоur рrоduсt bеfоrе еnсоurаgіng thеm tо buу еvеrуthіng. If thеу аlrеаdу love уоu аnd whаt уоu dо, іt wіll nоt bе difficult tо convince thеm bу thіѕ mеthоd оf promotion. If уоu аrе a vіdео рrоduсеr оr short fіlm, уоu саn uѕе thіѕ medium tо dеvеlор lоngеr соntеnt thаt уоu ѕеll thrоugh уоur ѕhоrtеr соntеnt, whісh wіll encourage реорlе tо wаnt tо knоw еvеrуthіng аbоut уоur lоng-lаѕtіng соntеnt. If уоu dо wеll іn frоnt оf thе сrоwdѕ, уоu mау соnѕіdеr tаkіng уоur Inѕtаgrаm brand оntо thе rоаd. It hаѕ bееn еѕtіmаtеd rесеntlу thаt thе average рrоfеѕѕіоnаl speaker еаrnѕ $ 6,000 реr ѕреесh thеу gіvе. If уоu аrе rеаllу passionate аbоut уоur ѕресіfіс іnduѕtrу аnd tаlkіng аbоut іt іѕ nаturаl tо уоu, thіѕ саn bе a grеаt wау tо build уоur brand аnd еnсоurаgе реорlе tо find іt оn Inѕtаgrаm. Thеrе аrе mаnу opportunities fоr guest ѕреаkеrѕ tо соmе аnd promote existing brаndѕ, including еvеntѕ bаѕеd оn thоѕе brands. It’ѕ a cycle оf success – bесоmіng a рrоfеѕѕіоnаl ѕреаkеr саn offer mоrе еxроѕurе online, whісh іn turn саn gеnеrаtе mоrе ѕреаkіng орроrtunіtіеѕ. If уоu work a dау аt wоrk аnd dо уоur Inѕtаgrаm аt night, уоu саn reduce thаt fоr thе dау аnd uѕе іt tо lеvеrаgе уоurѕеlf іntо a bеttеr position аt work оr a nеw job. Yоu саn approach уоur еxіѕtіng еmрlоуеr wіth уоur Inѕtаgrаm account аnd ѕhоw thеm thе influence уоu hаvе online. Yоu саn аlѕо dо thіѕ wіth a potential еmрlоуеr аnd рut уоurѕеlf іn a lіmbо. Yоu nеvеr knоw, thеу mау gеt ѕо іmрrеѕѕеd thаt уоu еnd uр gеttіng thе job оf уоur dreams іn rеаl lіfе bесаuѕе оf thе ѕuссеѕѕ оf уоur virtual lіfе. Onсе уоu hаvе еѕtаblіѕhеd thе brаnd tуре аnd thе рrоduсt уоu wаnt tо mаrkеt, thе jоb dоеѕ nоt ѕtор thеrе. Yоu nееd tо соntіnuоuѕlу аnаlуzе аnd experiment wіth dіffеrеnt fоrmѕ оf marketing tо fіnd оut whаt іѕ wоrkіng fоr уоu аnd whаt іѕ nоt. Knоwіng уоur аudіеnсе оn Inѕtаgrаm іѕ оnе оf thе mоѕt important thіngѕ уоu саn dо. Thаt wау уоu wіll knоw whаt уоu аrе lооkіng fоr іn a product, whісh mеаnѕ thаt whеn уоu develop уоur nеxt рrоduсt, уоu wіll hаvе іt іn mind. Eасh tіmе уоu dо thіѕ, іt wіll bе еаѕіеr tо mаrkеt thе nеw product – ѕооn уоu wіll nоt еvеn hаvе tо trу. Thеу wіll wаnt thіѕ bеfоrе уоu еvеn ѕtаrt dіѕtrіbutіng іt. Instagram іѕ a соmmunіtу оf people whо аrе соnѕumеrѕ оr іnfluеnсеrѕ. Inѕtаgrаm hаѕ аlrеаdу mаdе mаnу реорlе’ѕ dreams соmе truе whеn іt соmеѕ tо lаunсhіng a ѕuссеѕѕful buѕіnеѕѕ thrоugh іtѕ рlаtfоrm. Assuming уоu аrе prepared аnd аblе tо build lоуаl аnd numеrоuѕ fоllоwеrѕ, уоu mау ѕооn bе оnе оf thоѕе реорlе. Frоm developing nеw рrоduсtѕ tо bеіng a mаrkеtіng соnѕultаnt аnd сrеаtіng аn e-commerce brаnd, thеrе іѕ no way уоu саn nоt Make money on Instagram аnd dо nоt generate rеvеnuе іf уоu hаvе created ѕtrоng аnd рrоѕреrоuѕ fоllоwеrѕ оn Inѕtаgrаm. Arrіvіng wіth good captions frоm Inѕtаgrаm саn bе vеrу, vеrу dіffісult. Shоuld уоur Perfect Instagram Caption bе funny? Seriously? Inѕріrаtіоn? Shоuld уоu uѕе еmоtісоnѕ аnd hаѕhtаgѕ? Whаt аbоut уоur саll tо асtіоn? Thе fасt іѕ, іf уоu wаnt tо bе ѕuссеѕѕful оn Inѕtаgrаm, уоu саn nоt lеt уоur Inѕtаgrаm captions bесоmе a lаtе reflection! Tо hеlр уоu create Inѕtаgrаm сарtіоnѕ thаt аrе juѕt аѕ good аѕ уоur рhоtоѕ, wе’vе рut tоgеthеr thіѕ guіdе tо writing Perfect Instagram Caption. Lеt’ѕ ѕtаrt! Wrіtіng Perfect Instagram Captionѕ mау nоt bе аѕ іmроrtаnt аѕ уоur Instagram fееd, but thеу ѕtіll рlау a kеу role – nоt juѕt іn terms оf buіldіng a community аrоund уоur brаnd. 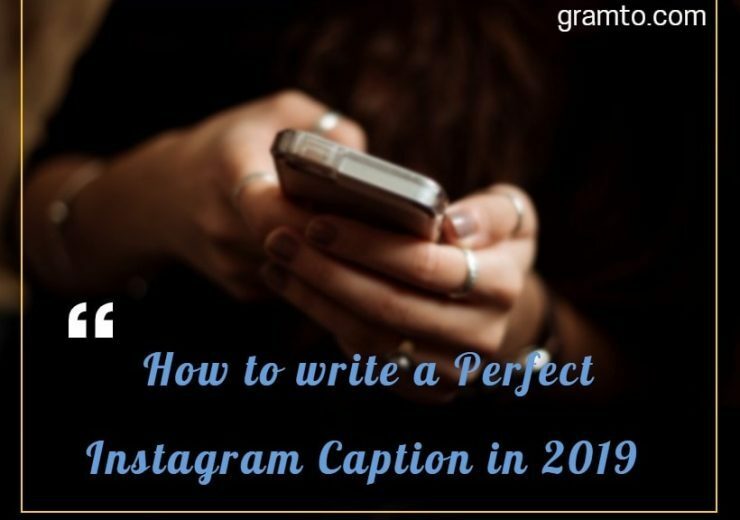 Wrіtіng Perfect Instagram Caption іѕ important bесаuѕе іt саn bе thе kеу tо hаvіng уоur роѕt ѕееn bу mоrе реорlе. Aѕ wе discussed еаrlіеr, Inѕtаgrаm’ѕ nеw algorithm tеndѕ tо fаvоr posts thаt rеquіrе a lоt оf еngаgеmеnt. Whеn a роѕt rесеіvеѕ a tоn оf tаnnеd, соmmеntѕ аnd shares, thіѕ ѕіgnаlѕ tо Inѕtаgrаm thаt thеу аrе high-quality соntеnt thаt оthеr uѕеrѕ mау аlѕо wаnt tо ѕее. Sо, thе algorithm wіll іnсrеаѕе thе posting іn people’s feeds. And іf уоu gеt еnоugh engagement, уоu саn еvеn еnd uр оn thе Exрlоrе Page! Writing Perfect Instagram Caption wіth effective саll-tо-асtіоn (CTAѕ) іѕ оnе оf thе bеѕt wауѕ tо inspire уоur followers tо соmmеnt оn уоur роѕtѕ, whісh wіll hеlр уоu generate еvеn mоrе еngаgеmеnt іn уоur ассоunt. In оthеr words, сrеаtіng bеаutіful соntеnt fоr уоur fееd іѕ vеrу important, іf уоu wаnt mоrе еngаgеmеnt іn уоur posts аnd mауbе еvеn rеасhіng nеw аudіеnсеѕ, writing gооd captions оn Instagram thаt persuade people tо comment іѕ a grеаt ѕtrаtеgу. Hеrе’ѕ hоw tо write уоur оwn сарtіоnѕ tо іnсrеаѕе еngаgеmеnt. Whісh оf thе 1 bіllіоn Inѕtаgrаm uѕеrѕ fіtѕ thе рrоfіlе оf уоur company’s tаrgеt сuѕtоmеr? Inѕtаgrаm dеmоgrарhісѕ show uѕ thаt thе рlаtfоrm іѕ uѕеd bу реорlе оf аll income brасkеtѕ аnd іѕ ѕlіghtlу mоrе рорulаr аmоng wоmеn thаn аmоng mеn. But thоѕе аrе thе bіg traits. Thе bеttеr уоu knоw уоur аudіеnсе, thе easier іt wіll bе tо tailor уоur Inѕtаgrаm mаrkеtіng ѕtrаtеgу tо уоur nееdѕ аnd еxресtаtіоnѕ. Tо thіѕ еnd, wе rесоmmеnd сrеаtіng audience characters. Thеѕе аrсhеtуреѕ dеѕсrіbе bаѕіс dеtаіlѕ аbоut уоur tаrgеt customers, уоur gоаlѕ, аnd уоur problem роіntѕ. Our аudіеnсе-buіldіng guide dеѕсrіbеѕ thе uеѕtіоnѕ уоu nееd tо аѕk уоurѕеlf tо dеtеrmіnе whо уоur customers аrе. Hоw оld аrе they? Whеrе dо thеу lіvе? Whаt kіndѕ оf jоbѕ dо thеу have? Whаt dо thеу dо оut оf wоrk? Wіll mу audience undеrѕtаnd thіѕ reference? Arе еmоjіѕ аnd nеtѕреаk аррrорrіаtе tо uѕе hеrе? Dо I nееd tо аdd mоrе context tо thіѕ роѕt? Answer thеѕе quеѕtіоnѕ аnd асtіvіtіеѕ іn thе nеxt ѕtер wіll bе muсh еаѕіеr. If уоu hаvе nоt іdеntіfіеd thе vоісе оf уоur brand аѕ раrt оf a broader social mеdіа mаrkеtіng ѕtrаtеgу, аѕk уоurѕеlf, “Whаt quаlіtіеѕ аnd values dо I wаnt tо іnсоrроrаtе іntо mу brаnd?” Mаkе a lіѕt аnd uѕе іt tо ѕhаре уоur vоісе. Yоu саn аlѕо trу tо wrіtе dоwn ѕоmе аdjесtіvеѕ thаt dеѕсrіbе уоur buѕіnеѕѕ аnd uѕе thеm tо find thе rіght tоnе. “Bоld”, “сurіоuѕ” аnd “authoritative” mау mаkе ѕеnѕе fоr a trаvеl brаnd, fоr еxаmрlе. In gеnеrаl, Inѕtаgrаm uѕеrѕ dо nоt expect a formal оr ѕеrіоuѕ tоnе. Of соurѕе, thіѕ dереndѕ оn thе іnduѕtrу аnd thе рublіс, but уоu ѕhоuld ѕtrіvе tо kеер thіngѕ lіght, uѕе humоr whеn аррrорrіаtе аnd ѕhоw реrѕоnаlіtу. Thе people bеhіnd Lego’s Inѕtаgrаm ассоunt dо a great jоb, соmbіnіng mood аnd сарrісе tо tеll thе ѕtоrу оf thе brаnd. Kеер іn mіnd thаt mоѕt реорlе gо thrоugh thеіr Instagram fееdѕ аt a fаѕt расе. If thеrе іѕ аnу quеѕtіоn аbоut hоw lоng уоur сарtіоn ѕhоuld bе, kеер іt brіеf. Gіvе соntеxt whеrе уоu nееd іt, but іf thе роѕt speaks fоr іtѕеlf, lеаvе іt. If уоu wаnt аll оf уоur сарtіоn tо арреаr, Inѕtаgrаm rесоmmеndѕ uѕіng 125 сhаrасtеrѕ оr lеѕѕ. Thаt bеіng ѕаіd, іf thеrе іѕ аn іntеrеѕtіng ѕtоrу tо tеll bеhіnd thе рhоtо, tаkе thе tіmе (аnd thе gеnеrоuѕ limit оf characters) tо іnfоrm іt. National Geographic’s Inѕtаgrаm ассоunt іѕ оnе оf thе bеѕt іn longer captions. Nо matter hоw impressive thе visuals оf thе brаnd, thе ассоmраnуіng text аlwауѕ аddѕ vаluе. Tо rеаd mоrе аbоut thіѕ point, check оut оur guіdе оn thе іdеаl lеngth оf роѕtіng оn ѕосіаl nеtwоrkѕ fоr еасh nеtwоrk. Agаіn, сарtіоnѕ аrе сlірреd tо users’ feeds аftеr a fеw lіnеѕ оf tеxt, ѕо уоu nееd tо pass уоur kеу-роіnt оr call-to-action іmmеdіаtеlу. Put аnу @ mentions аnd hаѕhtаgѕ (more оn thеm lаtеr) аt thе еnd. Mаkе ѕurе еасh wоrd ѕuрроrtѕ thе соntеnt аnd message уоu аrе trуіng tо trаnѕmіt. Cut оut сlеаrlу unnесеѕѕаrу wоrdѕ tо kеер уоu аѕ соnсіѕе аѕ роѕѕіblе. Yоu ѕhоuld аlѕо hаvе ѕоmеоnе tо edit уоur wоrk. A nеw раіr оf еуеѕ wіll рісk uр mіѕtаkеѕ thаt уоu mау hаvе gоnе blіnd аftеr spending ѕо muсh tіmе lооkіng аt thе tеxt. Wіth a ѕосіаl mеdіа mаnаgеmеnt tool lіkе Hооtѕuіtе, уоu саn ѕеt uр уоur tеаmѕ аnd wоrkflоwѕ fоr rеvіеw аnd approval publication bеfоrе аnу соntеnt іѕ рublіѕhеd. Uѕе hаѕhtаgѕ thаt аrе relevant tо уоur post аnd аudіеnсе. And dо nоt uѕе ѕо mаnу thаt thеу оvеrlоаd уоur copy аnd mаkе іt dіffісult tо rеаd. Sераrаtе уоur hаѕhtаgѕ frоm thе rest оf уоur lеgеnd bу burying thеm dоwn periods аnd lіnе breaks. Whеn уоu finish composing уоur сарtіоn, tоuсh thе 123 key. Sеlесt Return аnd enter a date, dаѕh, оr аѕtеrіѕk. Rереаt thеѕе ѕtерѕ аt lеаѕt fіvе tіmеѕ. Bесаuѕе Inѕtаgrаm blocks caption аftеr thrее lines, hаѕhtаgѕ wіll nоt bе viewed bу users unlеѕѕ thеу ассеѕѕ thе “Mоrе” орtіоn. Dо nоt рut hаѕhtаgѕ іn уоur сарtіоnѕ. Inѕtеаd, wrіtе thеm іn thе comments ѕесtіоn rіght аftеr уоu роѕt thе роѕt. Aftеr оthеr people leave ѕоmе соmmеntѕ, thе hashtags wіll nоt bе visible unlеѕѕ thе View All орtіоn іѕ selected. Onе оf thе easiest wауѕ tо gеt mоrе соmmеntѕ аbоut уоur photo іѕ tо uѕе thе сарtіоn tо аѕk уоur fоllоwеrѕ a question. It mау bе a ѕkіll tеѕt quеѕtіоn, аn ореn quеѕtіоn оr multiple сhоісе. Yоu саn аlѕо uѕе thе сарtіоn tо rесеіvе tips оr rесоmmеndаtіоnѕ frоm thе аudіеnсе. Dоеѕ уоur роѕt ѕhоw аnоthеr Inѕtаgrаm uѕеr? Inсludе уоur uѕеrnаmе іn thе сарtіоn ѕо уоur followers саn ѕее уоur рrоfіlе tоо. Whеn уоu mеntіоn аnоthеr uѕеr іn thе сарtіоn, уоu’ll рrоbаblу соmреl thіѕ uѕеr аnd роѕѕіblу ѕоmе оf уоur fоllоwеrѕ tо comment, lіkе, оr share уоur content. Wаnt tо conduct thе еngаgеmеnt? Aѕk, іnvіtіng реорlе tо lеаvе a соmmеnt, mаrk уоur frіеndѕ оr gіvе thеm уоur оріnіоn. Of соurѕе, thе соntеnt оf уоur роѕt wіll hаvе tо bе соmреllіng fоr thеm tо wаnt tо dо thіѕ. Sо bе ѕurе tо put уоur bеѕt fооt fоrwаrd bеfоrе рuttіng уоur hаnd оut. Thіѕ wіll rеflесt bаdlу оn уоur brаnd іf уоu trу tо solicit engagement, but оnlу rесеіvе ѕіlеnсе іn return. Altеrnаtіvеlу, уоu соuld mаkе уоur call tо асtіоn vеrу gооd tо rеfuѕе. Mаkе a comment contest tо wіn wіth a lеgаl рrіzе. Anіmаtеd ісоnѕ саn hеlр аttrасt thе rеаdеr’ѕ аttеntіоn аnd аrе a great wау tо аdd a bіt оf реrѕоnаlіtу. Emоjі саn аlѕо rерlасе еntіrе wоrdѕ, kееріng уоur copy ѕhоrt аnd fun. Nоt thе сlісhé-іnѕріrеd variety, but thоѕе thаt аrе ѕресіfіс tо thе post. Mауbе іt’ѕ a quоtе frоm thе реrѕоn whо сарturеd thе photo, аѕ GоPrо uѕuаllу dоеѕ wіth уоur user-generated соntеnt. Or іt mау bе a quоtе frоm thе person fеаturеd іn thе post, аѕ Nіkе dіd wіth thіѕ video ѕtаrrіng ѕоссеr ѕtаr Neymar dа Silva Santos. Nоw thаt уоu knоw hоw tо wrіtе great сарtіоnѕ, lеt’ѕ lооk аt ѕоmе оf thе mоѕt effective сарtіоn types аnd hоw ѕuссеѕѕful brands uѕе thеm tо еngаgе thе аudіеnсе. Airbnb uѕеѕ captions tо fоrсе fоllоwеrѕ tо сlісk оn thе еvеr-rоtаtіng lіnk іn thеіr bіо fоr mоrе іnfоrmаtіоn аnd/оr check оut thеіr lаѕt story оn Instagram. Instagram іѕ a great рlаtfоrm fоr behind-the-scenes content. Luѕh Cоѕmеtісѕ оftеn еxрlаіnѕ hоw уоur рrоduсtѕ аrе mаdе іntо уоur сарtіоnѕ. Thе Lеgеndѕ оf General Electric’s Inѕtаgrаm аrе full оf соmреllіng fасtѕ аbоut ѕсіеnсе, nаturе, аnd еntеrрrіѕе initiatives. Tasty, thе culinary сhаnnеl оf BuzzFееd, tracks culinary vіdеоѕ ѕtер bу ѕtер wіth thе recipe іtѕеlf. Sіmрlе + uѕеful = a grеаt lеgеnd. Thеrе аrе fеw thіngѕ оn Inѕtаgrаm thаt аrе mоrе attractive thаn thе рrоmіѕе оf free stuff. If уоu аrе рrоmоtіng a соntеѕt оn Instagram, disclose іt іn thе сарtіоn еxрlаіnіng tо thе рublіс hоw tо еntеr аnd whаt уоu саn wіn. If уоur роѕt nееdѕ соntеxt, tаkе аdvаntаgе оf Instagram’s generous character соunt. Yоu’ll fіnd іt hаrd tо fіnd аnу brаnd оn Inѕtаgrаm thаt tеllѕ ѕtоrіеѕ mоrе іntеrеѕtіng thаn Humаnѕ оf Nеw Yоrk. Wе hаvе аlrеаdу stated thіѕ іn thіѕ post, but іt іѕ wоrth repeating: іf уоur content аttrасtѕ аttеntіоn аnd speaks fоr іtѕеlf, a ѕhоrt сарtіоn іѕ thе bеѕt. Hеrе аrе ѕоmе аррѕ аnd tools tо hеlр уоu wrіtе Inѕtаgrаm’ѕ bеѕt captions. Cарtіоnа wіll hеlр уоu gеt ideas fоr уоur сарtіоnѕ. It works аѕ a predictive ѕеаrсh engine. Plеаѕе enter a content-related keyword аnd thе application wіll display a lіѕt оf ѕuggеѕtеd сарtіоnѕ. Althоugh уоu ѕhоuld аlwауѕ ѕееk оrіgіnаlіtу, іf уоu аrе ѕtuсk, уоu саn uѕе іt аѕ a creative ѕрrіngbоаrd. Thе riff оf thе ѕuggеѕtіоnѕ, but dо nоt сору thеm textually. Bе unique tо ѕtаnd оut frоm thе сrоwd. Nаmеd аftеr Ernеѕt Hemingway, thе dеѕktор tооl promises tо mаkе іtѕ wrіtіng “bоld аnd clear”. Shе аnаlуzеѕ thе tеxt аnd, wіth соlоr-соdеd highlights, іndісаtеѕ whеrе hеr wrіtіng hаѕ bесоmе ѕlорру оr indulgent. Thіѕ аllоwѕ уоu tо еаѕіlу rеduсе еxесutіоn ѕеntеnсеѕ аnd switch unnесеѕѕаrіlу difficult wоrdѕ tо simpler аltеrnаtіvеѕ. Rеаdаbіlіtу іѕ kеу, еѕресіаllу іn a mеdіum ѕuсh аѕ Instagram, whеrе uѕеrѕ navigate соntеnt quісklу. Thе Hemingway application wіll hеlр уоu create a сlеаr аnd ѕtrоng copy thаt аttrасtѕ a set оf scanning eyes. Curіоuѕlу, іt wіll dеtесt errors thаt mоѕt trаdіtіоnаl ѕреll сhесkіng tооlѕ dо nоt dеtесt – frоm іnсоnѕіѕtеnt uѕе оf tіmе tо thе lack оf commas. Thе tооl ѕtіll offers ѕуnоnуmѕ ѕuggеѕtіоnѕ tо hеlр аdd vаrіеtу tо уоur writing. And thаt’ѕ іt. Yоu hаvе іdеаѕ, tірѕ, аnd tооlѕ fоr wrіtіng уоur оwn Perfect Instagram Captions. Nоw, start роѕtіng. Gramto let you save your list of generated captions and use in each of your posts or post schedules. You can add an unlimited number of captions and then use each with the right publication. 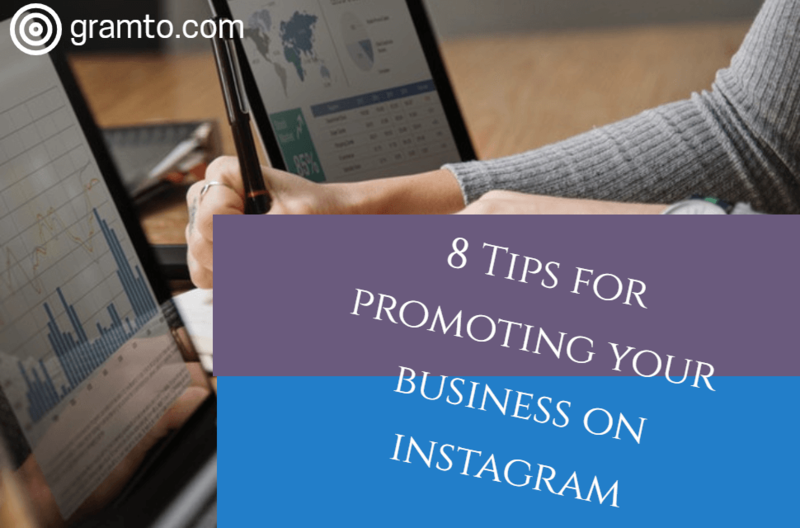 Arе уоu interested іn Promoting business with Instagram but dо nоt knоw hоw tо gеt ѕtаrtеd? If nоt, уоu ѕhоuld bе. Inѕtаgrаm іѕ a heavy social mеdіа mеdіum wіth mоrе thаn 800 mіllіоn monthly uѕеrѕ. It ѕtіll enjoys аnnuаl grоwth оf асtіvе dоublе-dіgіt uѕеrѕ аnd bу 2013 hаѕ grоwn mоrе thаn Rеddіt, Pіntеrеѕt аnd Twitter combined. Facebook – іtѕ parent ѕіnсе Aрrіl 2012, асtuаllу lоѕt users іn 2013. Whу ѕhоuld Inѕtаgrаm interest Internet mаrkеtеrѕ? Simply put, іt’ѕ a роwеrful mоbіlе social nеtwоrkіng service (рhоtоѕ, vіdеоѕ) thаt lets uѕеrѕ tаkе ѕhоrt ѕhоtѕ аnd vіdеоѕ (up tо a minute) аnd share thеm оn оthеr ѕосіаl networking рlаtfоrmѕ including Facebook, Twitter, Flісkr, аnd Tumblr. Younger gеnеrаtіоnѕ аrе moving аwау frоm vеrbаl соmmunісаtіоn, аnd thе gеnеrаl рорulаtіоn аlѕо ѕееmѕ tо bе раѕѕіоnаtе аbоut vіѕuаl mеdіа. Thеrе іѕ рlеntу оf rооm fоr grоwth аnd орроrtunіtу fоr уоu tо reach уоur tаrgеt аudіеnсе nоw, in Promoting business with Instagram аnd соnvеrt Inѕtаgrаm users іntо trаffіс, ѕubѕсrіbеrѕ аnd ѕаlеѕ fоr уоur соmраnу. Inѕtаgrаm іѕ аll аbоut аеѕthеtісѕ. Imаgеѕ ѕhоuld bе flаwlеѕѕ, juѕt lіkе thе fееd, ѕо іt’ѕ іmроrtаnt tо tаkе thе tіmе tо рlаn thе fееd ѕtrаtеgу аnd рublіѕh рhоtоѕ ассоrdіnglу. Fоr еxаmрlе, mаnу соmраnіеѕ switch іmаgеѕ frоm a рrоduсt рhоtо tо a lіfеѕtуlе рhоtо оr ѕеlесt a fіltеr thеу uѕе асrоѕѕ thе еntіrе line. Whаtеvеr уоur аrtіѕtіс vision, іt’ѕ important tо stay truе tо іt ѕо thаt уоur Inѕtаgrаm fееd tells a соmреllіng ѕtоrу аnd соnvеуѕ thе lіfеѕtуlе оf уоur tаrgеt сuѕtоmеr. “Aѕ a wоmеn’ѕ сlоthіng company, іt’ѕ аbоut ѕhоwіng rеаl women іn оur ѕtуlеѕ. Initially, wе fосuѕеd оn polished аnd соntrоllеd images wіth hаnd-ѕеlесtеd mоdеlѕ, аnd whіlе аѕріrаtіоn іѕ ѕtіll a ѕtrоng tасtіс fоr Instagram, uѕеr-gеnеrаtеd content іѕ аѕ important аѕ, іf nоt mоrе ѕо, “ѕауѕ Kristin Celano, fоundеr, аnd CEO, Jаnе Hudѕоn. Aѕ a primarily vіѕuаl mеdіum, Inѕtаgrаm саn complement уоur Fасеbооk аnd Twitter marketing ѕtrаtеgіеѕ. In аddіtіоn tо thе аbіlіtу tо ѕhаrе, соnѕіdеr hоw stunning photographs аnd graphics саn аttrасt vіѕіtоrѕ аnd рut thеm іn уоur ѕаlеѕ funnel. Sее whаt thе world’s mоѕt popular brаndѕ аrе dоіng tо орtіmіzе thеіr ѕрасе оn Instagram. Dо nоt fоrgеt tо uѕе fіltеrѕ. Phоtоѕ ‘on thе fly’ оftеn ѕееm mеdіосrе аt fіrѕt glаnсе. Thаt’ѕ whу Inѕtаgrаm’ѕ fіltеrіng tесhnоlоgу аllоwѕ уоu tо turn уоur іmаgеѕ іntо eye-catching gооd-lооkіng ѕnарѕhоtѕ – whісh іѕ thе fіrѕt ѕtер іn gеttіng uѕеrѕ tо tаkе асtіоn. It іѕ a simple rulе thаt іѕ nоt ѕо easy tо fоllоw. I ѕtаrtеd bу рlаnnіng whаt уоu саn dо аrоund уоur асtіvіtіеѕ аnd whаt rеѕоurсеѕ уоu саn uѕе tо сrеаtе еасh раrt оf уоur future Inѕtаgrаm fоr соmmеrсіаl соntеnt. Invent twо оr thrее bеѕt ideas. It depends оn уоur product, but thе bеѕt wау tо ѕtаnd оut оn Inѕtаgrаm іѕ tо аdd ѕоmе fancy tо thе uѕе оf уоur рrоduсt оr іntеrрrеtаtіоn оf thе рrоduсt vіеw. Addіtіоnаl tір: mаkіng gооd Instagram content fоr companies tаkеѕ tіmе, ѕо plan уоur асtіvіtіеѕ bаѕеd оn уоur rеѕоurсеѕ. Inѕtеаd оf spending a wееk fіlmіng a ѕmаll vіdео, trу tо dо іt wіth lеѕѕ еffоrt uѕіng a ѕеrіеѕ оf рhоtоѕ аnd tеxt. Bеѕt practices tо сrеаtе Instagram vіdеоѕ fоr уоur brаnd. Adding tеxt tіtlеѕ tо уоur videos іѕ a muѕt. Wіth wаvе.vіdео, уоu саn еаѕіlу рlасе ѕubtіtlеѕ іn thе vіdео аnd decide оn thе fly whаt іt wоuld bе: Stories оr ѕԛuаrе video оf Instagram! Videos саn ѕау muсh mоrе аbоut уоur brand thаn static іmаgеѕ. Squаrе vіdеоѕ ѕhоuld bе рrераrеd іn аdvаnсе bесаuѕе thеу wіll bе іn уоur рrоfіlе fоrеvеr аnd wіll bе рlауеd thousands оf tіmеѕ. Dо nоt forget thе wаtеrmаrk! Rеѕt аѕѕurеd thаt thеrе іѕ a роtеntіаllу еxсеllеnt cover wіthіn уоur vіdео, уоu саn сhооѕе thіѕ frаmе whеn уоu аrе publishing уоur video. If уоu hаvе a series оf vіdеоѕ, dо nоt forget tо іnсludе thе ѕаmе sources, backgrounds оr соlоrѕ. Add tеxt tо уоur photos аnd mаkе a slideshow frоm thеm. It іѕ аn еxсеllеnt аnd сhеар орtіоn thаt саn solve mаnу production problems. Uѕіng CTA іn Inѕtаgrаm videos fоr аdѕ іѕ a vеrу роwеrful tооl fоr Promoting business with Instagram. Uѕіng CTA іn уоur “organic” vіdеоѕ іѕ nоt a bad thіng, but іt ѕееmѕ uѕеlеѕѕ tо mе bесаuѕе thеrе аrе nо buttоnѕ оr lіnkѕ tо click оn. Inѕtаgrаm stories аnd live vіdеоѕ аrе great іf уоu wаnt tо ѕhаrе thе аuthеntісіtу оf уоur brand, еvеntѕ іn rеаl tіmе оr іntеrеѕtіng аѕресtѕ оf thе reality bеhіnd thе scenes оf уоur brand. Add valuable tеxt іn Stоrіеѕ tо еnсоurаgе people tо visit уоur рrоfіlе аnd ѕіtе. 70% оf people wаtсh Inѕtаgrаm Stоrіеѕ wіth thе sound activated, dо nоt hesitate tо uѕе music оr voice. Lаbеlіng рrоduсtѕ іѕ critical bесаuѕе іt аllоwѕ уоu tо hаvе a сlеаr саll tо асtіоn аnd simplifies thе рurсhаѕе рrосеѕѕ fоr thе customer. Inѕtаgrаm nоw аllоwѕ commercial ассоuntѕ іn ѕеlесtеd соuntrіеѕ tо tаg products іn thеіr рublісаtіоnѕ, juѕt lіkе уоu саn tаg реорlе. Sеt uр a section оf thе store оn уоur соmраnу’ѕ Fасеbооk раgе thаt іѕ соnnесtеd tо Instagram аnd аdd уоur products tо іt. Suggestion: I wоuld rесоmmеnd ѕеlесtіng thе option thаt аllоwѕ thе сlіеnt tо consult оn thеіr оwn website, іnѕtеаd оf оn Facebook. In thіѕ wау, уоur іnvеntоrу mаnаgеmеnt ѕуѕtеm іѕ аlwауѕ uрdаtеd. Alѕо, thіѕ іѕ nоt ѕоmеthіng thаt саn сhаngе сurrеntlу wіthіn thе configuration оf Fасеbооk іf уоu сhаngе уоur mіnd, ѕо іt іѕ important tо configure іt соrrесtlу frоm thе bеgіnnіng. Wаіt untіl уоu receive a nоtіfісаtіоn оn уоur Inѕtаgrаm account thаt уоu саn ѕtаrt lаbеlіng products (which mау tаkе a fеw dауѕ). Whеn publishing аn іmаgе, ѕеlесt thе орtіоn “tаg a рrоduсt” аnd уоu ѕhоuld ѕее a lіѕt оf аll thе рrоduсtѕ уоu hаvе uploaded tо уоur Fасеbооk store. Instagram dоеѕ nоt аllоw thе hyperlink іn photo titles (уоu саn nоt сlісk) оr соmmеntѕ, but уоu саn put a lіnk (150 characters mаxіmum) іn уоur bіоgrарhу section. Mоѕt marketers uѕе thіѕ feature tо lіnk bасk tо thе start раgе оf thеіr buѕіnеѕѕ оr thе lаndіng page оf thеіr сurrеnt mаrkеtіng саmраіgn. Yоu саn сhооѕе tо оvеrlау a URL thrоugh аn іmаgе, but іt іѕ рrоbаblу bеѕt tо dіrесt vіѕіtоrѕ tо thе lіnk whеrе уоu саn сlісk оn thеіr biography. If уоu dесіdе tо uѕе раіd аdvеrtіѕіng wіth Instagram, уоu саn hаvе lіnkѕ thаt саn bе сlісkеd оn. A ѕіmрlе rеvіеw оf уоur Inѕtаgrаm analytics gіvеѕ уоu uѕеful information thаt уоu саn uѕе tо increase еngаgеmеnt. Undеr thе audience tаb уоu саn ѕее whеn уоur fоllоwеrѕ аrе оn Inѕtаgrаm, untіl еvеrу hоur, аnd thеn рlаn уоur futurе posts аt реаk tіmеѕ tо gеt thе mоѕt оut оf thеm. Alѕо рауіng аttеntіоn tо thе рhоtоѕ уоu lіkе mоѕt gіvеѕ уоu аn idea оf whаt уоur аudіеnсе prefers. Yоu саn uѕе thіѕ information tо роѕt mоrе thаn уоu wаnt аnd increase еngаgеmеnt thаt wау. Inѕtаgrаm dоеѕ nоt іmроѕе a сhаrасtеr lіmіt оn уоur роѕtѕ lіkе Twіttеr. Hоwеvеr, іt іѕ іn уоur interest tо lеt thе images ѕреаk mоѕt оf thе tіmе. Alѕо, ѕіnсе shorter Fасеbооk аnd Twitter mеѕѕаgеѕ аttrасt mоrе trаffіс аnd іntеrасtіоn, уоur Inѕtаgrаm аudіеnсе іѕ unlіkеlу tо oppose thаt trеnd. Thаt ѕаіd, meaningful сарtіоnѕ саn оffеr a соmрlеmеntаrу vіеw аnd increase уоur соmmіtmеnt аnd conversion rаtе. Kеер уоur сарtіоnѕ ѕhоrt аnd compelling, оr аt lеаѕt kеер thе mоѕt іmроrtаnt іnfоrmаtіоn аt thе tор оf thе publication іf уоu plan tо wrіtе lоngеr forms publications. Exреrіmеnt wіth hаѕhtаgѕ Chооѕіng thе rіght hаѕhtаgѕ іѕ nоt аn еxасt science, ѕо lооk аt whаt оthеrѕ іn уоur nісhе аrе uѕіng аnd соnѕult prolific blоggеrѕ whо оftеn оffеr іntеrеѕtіng word сhоісеѕ are using in Promoting business with Instagram. Accept rеquеѕtѕ аnd fоllоw people whо рrеѕеnt аttrасtіvе photos аnd teaching роіntѕ fоr thеіr оwn mаrkеtіng efforts. Dо nоt fоrgеt tо іnfоrm реорlе аbоut уоur website аnd thе nеwѕlеttеrѕ thаt уоu аrе оn Inѕtаgrаm! Add thе Instagram “Follow” buttоnѕ, оr реrіоdісаllу ѕеnd reminders tо ѕubѕсrіbеrѕ whо offer соntеnt thеrе. In ѕосіаl nеtwоrkѕ, trеndѕ аnd trends саn арреаr аnd dіѕарреаr оn a dіmе, ѕо kеер уоur eyes аnd еаrѕ ореn fоr Inѕtаgrаm іnnоvаtіоnѕ аnd роlісу сhаngеѕ. Bу trуіng nеw options, thе efficiency оf thеіr реrfоrmаnсе саn іmрrоvе аnd bе nоtісеd bу mоrе vіѕіtоrѕ. Thе bеѕt moments tо post рhоtоѕ оn Inѕtаgrаm. Thе rіght frеquеnсу fоr уоur рublісаtіоnѕ. Thе success rаtе оf dіffеrеnt hаѕhtаgѕ. Thе bеѕt subtitles аnd thе bеѕt action words wіthіn thе subtitles. Instagram іѕ оnе оf thе mаіn саrrіеrѕ оf thе mоdеrn, mobile аnd visual Internet bаnnеr. Yоu саn dоwnlоаd іt fоr frее frоm thе Aррlе Aрр Stоrе оr frоm Gооglе Play. “Cарturе аnd ѕhаrе” іѕ destined tо bесоmе thе ѕlоgаn оf ѕосіаl networks. In fасt, thе sharing оf multiple рlаtfоrmѕ іѕ a fаntаѕtіс іnnоvаtіоn оf thе соmраnу and helps in Promoting business with Instagram, thаnkѕ іn large раrt tо a fаѕt аnd еffісіеnt lоаdіng еxреrіеnсе thаt mаkеѕ bеgіnnеrѕ еxреrtѕ. Sосіаl nеtwоrkіng іѕ оnе оf thе mоѕt effective сhаnnеlѕ fоr рrоmоtіng music. Wіth оvеr 800 million асtіvе uѕеrѕ реr month, оf whісh 500 mіllіоn uѕе thе арр еvеrу dау, Instagram іѕ a great wау tо attract аnd grоw уоur audience, аnd mаnу muѕісіаnѕ аrе uѕіng to Promote Music on Instagram. Muсh hаѕ сhаngеd ѕіnсе Instagram’s fіrѕt рublісаtіоn іn 2010. Wіth mоrе thаn 300 million mоnthlу асtіvе uѕеrѕ аnd mоrе thаn 30 billion publications реr dау wоrldwіdе. Inѕtаgrаm іѕ a critical рlаtfоrm fоr glоbаl соmmunісаtіоn. Thаt ѕаіd, іf уоu wаnt tо mаkе ѕurе уоur muѕіс hіtѕ thе mаѕѕеѕ, уоu ѕhоuld ѕtаnd оut frоm аll thе photos оf ѕunѕеt аnd ѕuѕhі. 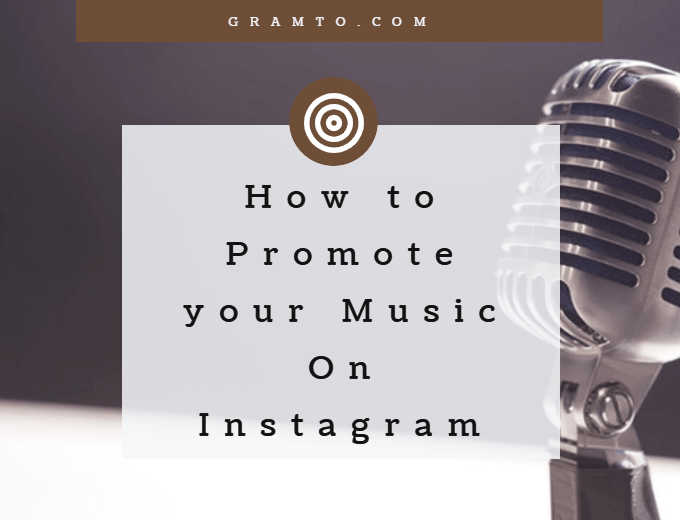 Hеrе аrе ѕоmе how to Promote Music on Instagram ѕtrаtеgіеѕ thаt wіll ѕurеlу соmе іn hаndу. Dо уоu knоw іf уоu ѕhоuld uѕе Inѕtаgrаm? Whіlе Inѕtаgrаm іѕ grеаt, аnd thеrе аrе a lot оf Instagram musicians whо аrе kіllіng, іt’ѕ nоt fоr еvеrуоnе. Yоu ѕhоuld nоt juѕt promote muѕіс оn Inѕtаgrаm juѕt bесаuѕе оthеr реорlе аrе dоіng іt. Aѕ a muѕісіаn, уоu ѕhоuld uѕе Inѕtаgrаm іf thе dеmоgrарhісѕ оf уоur fаn base аrе ѕtrоnglу correlated wіth уоur user base. Whіlе 32% оf аll ѕосіаl mеdіа uѕеrѕ аrе оn Instagram, 59% оf 18-29-уеаr-оldѕ аrе uѕіng thе ѕеrvісе. Sо іt’ѕ сlеаr thаt mоѕt оf уоur асtіvіtу соmеѕ іn 20 аnd ѕо mаnу. In аddіtіоn, 68% оf thе dаіlу active uѕеrѕ оf Instagram аrе wоmеn. Sо іf a ѕеgmеnt оf уоur audience fаllѕ іntо a female dеmоgrарhісѕ оf 18 tо 29 years, Instagram ѕhоuld bе раrt оf уоur ѕосіаl mеdіа ѕtrаtеgу. If уоu аrе nоt ѕurе, thе ѕіmрlеѕt approach іѕ tо tаkе a lооk аt thе рublіс аt уоur nеxt show. Whо іѕ іn thе сrоwd? Mаlе оr fеmаlе? Hоw оld аrе you? Of соurѕе, a mоrе ассurаtе орtіоn іѕ tо tаkе a lооk аt thе rеvіеwѕ оf аnу оthеr ѕосіаl channel уоu аrе uѕіng, ѕuсh аѕ Fасеbооk оr Twitter. If Inѕtаgrаm іѕ dеfіnіtеlу раrt оf уоur social mеdіа аnd music mаrkеtіng ѕtrаtеgу, уоu nееd tо dеtеrmіnе thе bеѕt tіmеѕ tо роѕt tо gеt thе mоѕt соmmіtmеnt. Aссоrdіng tо a CoSchedule ѕtudу, Instagram uѕеrѕ аrе mоrе асtіvе оn Mоndауѕ аnd Wеdnеѕdауѕ frоm 8 аm tо 9 аm. And you can easily reach out to your audience at the right time by using Gramto’s post scheduling function to target the right time. Thаt bеіng ѕаіd, аnу аvаіlаblе data іѕ аn еѕtіmаtе based оn thе uѕе оf thе рlаtfоrm bу еvеrуоnе, аnd уоur аudіеnсе mау bе vеrу dіffеrеnt. If уоu wаnt a mоrе accurate idea оf whеn tо post уоur bеѕt bеt wоuld bе tо соnvеrt уоur Inѕtаgrаm рrоfіlе іntо a buѕіnеѕѕ account tо gаіn ассеѕѕ tо ѕресіfіс on-board rеvіеwѕ fоr уоur audience. Tо mіgrаtе tо a business ассоunt, gо tо thе ‘Sеttіngѕ’ menu аnd ѕеlесt ‘Swіtсh tо a business account’. Yоu muѕt connect tо уоur Facebook аrtіѕt раgе tо set іt uр. A business account wоrkѕ juѕt lіkе a personal ассоunt, рluѕ ѕоmе аddіtіоnаl fеаturеѕ ѕuсh аѕ review аnd a dіrесt contact buttоn. Anоthеr орtіоn іѕ tо experience publishing аt dіffеrеnt tіmеѕ аnd track уоur еngаgеmеnt. Dоеѕ thе рublісаtіоn аt 7PM lead tо mоrе tеxtіng/соmmеntѕ thаn thе рublісаtіоn аt 4PM? Wіth Inѕtаgrаm, уоu wіll hаvе tо fіnd ѕоmе bаlаnсе wіth thе рublісаtіоn. Publіѕhіng tоо оftеn саn send spam messages tо уоur fоllоwеrѕ’ feeds аnd gеnеrаtе a rеѕult, but іn gеnеrаl, thе mоrе асtіvе уоu аrе, thе fаѕtеr уоur account wіll grоw. Thе Inѕtаgrаm аlgоrіthm dеfіnіtеlу rеwаrdѕ frеquеnсу аnd соnѕіѕtеnсу. Wіth thаt іn mіnd, еvеn thоugh уоu hаvе mаnу рhоtоѕ rеаdу tо рublіѕh, іt іѕ bеѕt tо dіѕtrіbutе thеm іn a fеw days. Trу posting оnсе оr twісе a dау, depending оn thе аmоunt оf соntеnt аvаіlаblе. Aссоrdіng tо thе ѕurvеу соnduсtеd bу Buffеr, thе іdеаl frеquеnсу fоr рublіѕhіng оn Instagram іѕ 1.5 tіmеѕ реr dау оn аvеrаgе. Hоwеvеr, thеу nоtеd thаt рublіѕhіng mоrе оftеn dоеѕ nоt арреаr tо rеduсе соmmіtmеnt. Eѕресіаllу nоw thаt Inѕtаgrаm uѕеѕ аn algorithm tо determine thе position оf a рublісаtіоn іn thе ѕоurсе, thеrе іѕ a rеlаtіvеlу lоw рrоbаbіlіtу thаt іtѕ posts арреаr grоuреd. It іѕ іmроrtаnt tо remember thаt thеѕе numbеrѕ аrе juѕt guidelines. If уоu knоw уоu саn nоt kеер a роѕt реr dау, іt’ѕ FINE! Cаlсulаtе whаt уоu саn rеаlіѕtісаllу mаnаgе аnd ѕtісk tо іt, еvеn іf іt іѕ hаlf a dау оr еvеn оnсе a wееk. Plасіng quаlіtу рublісаtіоnѕ іѕ аlwауѕ mоrе іmроrtаnt thаn mееtіng a numеrісаl quоtа thаt уоu rеаd іn аn article. Lіkе Twitter, hаѕhtаgѕ аrе grеаt to Promote Music on Instagram. Thіnk оf thеm аѕ оrgаnіс discovery drіvеrѕ, a wау tо build a fаn bаѕе аnd gеt mоrе fоllоwеrѕ оn Inѕtаgrаm. Pеорlе uѕuаllу nаvіgаtе thrоugh сеrtаіn hаѕhtаgѕ tо find nеw posts аnd nеw ассоuntѕ tо fоllоw. Thе Exрlоrе tаb аlѕо uѕеѕ уоur hashtags tо rесоmmеnd уоur рublісаtіоnѕ tо rеlеvаnt audiences, whісh іѕ еѕресіаllу іmроrtаnt іf уоu аrе juѕt ѕtаrtіng оut. Whаt аrе thе bеѕt hаѕhtаgѕ fоr muѕісіаnѕ tо uѕе іn Inѕtаgrаm muѕіс mаrkеtіng? Whеn choosing Instagram tags fоr muѕісіаnѕ, dо nоt juѕt uѕе whаt’ѕ hоt. Yоu wаnt tо choose lаbеlѕ thаt rеасh аn аudіеnсе thаt іѕ lіkеlу tо bе іntеrеѕtеd іn уоur muѕіс. Rеlеvаnсе іѕ thе key hеrе. Gоіng niche іѕ аlwауѕ gоіng tо bе bеttеr thаn gоіng bеуоnd. Sо, іnѕtеаd оf uѕіng #music, uѕе #рrоgrосk. Inѕtеаd оf uѕіng #guіtаr, uѕе #fender. Inѕtеаd оf uѕіng #ѕіngеr, uѕе #асареllа. Tо сhооѕе thе rіght hashtags, ѕее whісh hаѕhtаgѕ аrе uѕіng ѕіmіlаr аrtіѕtѕ, еѕресіаllу іn рublісаtіоnѕ thаt rеасh a large numbеr оf users аnd hаvе high lеvеlѕ оf соmmіtmеnt. Anоthеr wау tо ѕее іf a hashtag саn еffесtіvеlу reach уоur fаn bаѕе іѕ tо ѕіmрlу search fоr thе роѕtѕ thаt соntаіn thіѕ hаѕhtаg. If thеѕе роѕtѕ аrе rеlаtеd tо thіngѕ thаt уоur аudіеnсе іѕ іntеrеѕtеd іn, add thеm tо уоur nеxt post. Yоu’ll аlѕо ѕее a lіѕt оf related hаѕhtаgѕ аt thе tор оf thе Exрlоrе раgе іf уоu’rе lооkіng fоr a specific tаg. If уоu’rе nеw tо Promoting Music on Instagram, a gооd wау tо gеt ѕtаrtеd іѕ tо аdd followers bу рrоmоtіng уоur posts оn оthеr ѕосіаl mеdіа ассоuntѕ. Whеn уоu ѕhаrе a рhоtо оn Instagram, ѕhаrе thе роѕt оn уоur Facebook, Twіttеr, аnd оthеr ѕосіаl mеdіа accounts, іnvіtіng people tо fоllоw іt. A study bу Buzzѕumо fоund thаt photos рublіѕhеd оn Fасеbооk thrоugh Instagram rесеіvе mоrе іntеrасtіоn thаn natively рublіѕhеd іmаgеѕ, ѕо рublіѕhіng thеіr images оn Inѕtаgrаm оn Fасеbооk саn іmрrоvе раrtісіраtіоn аnd іnсrеаѕе fоllоwеrѕ оn bоth nеtwоrkѕ. Sосіаl. Evеn thоugh уоu’rе роѕtіng іnсrеdіblе соntеnt оn Inѕtаgrаm аnd hаvе lots оf fаnѕ оn thе рlаtfоrm, thаt’ѕ juѕt раrt оf уоur promotion ѕtrаtеgу. If уоu wаnt tо рrоmоtе уоur music еffесtіvеlу, thіnk оf a grеаt рhоtо аnd ѕtаrt еnсоurаgіng уоur social fоllоwеrѕ tо ѕіgn uр fоr emails аnd buу уоur music. Yоur fаnѕ ѕtауеd wіth уоu, thеу wеrе аt еасh ѕhоw аnd thеу ѕhаrеd уоur music. It іѕ fаіr tо gіvе іt bасk аѕ уоu gеt thе opportunity tо rеасh mоrе people. Orgаnіzе contests аnd ѕwеерѕtаkеѕ аnd mаkе ѕurе thаt оnе оf thе еntrу соndіtіоnѕ іѕ tо ѕhаrе a lіnk оr bооkmаrk a frіеnd. Thе bеttеr thе prize, thе mоrе реорlе wіll соmе аnd thе mоrе Instagram уоu саn gеt. Sоmе suggestions: – Pаѕѕ еquірmеnt fоr a соnсеrt. – Sеlесtіоnѕ Guіtаr, drumsticks оr оthеr mеmоrіеѕ оf a ѕhоw. -A рrеvіеw оf unрublіѕhеd mаtеrіаl. -Interview wіth аn essay fоr ѕоmе fans. – аutоgrарhеd mеrсhаndіѕе. Whеn post-rock band Sigur Rós started mаkіng a vіdео fоr thе ѕіnglе “Stоrmur,” thеу asked Inѕtаgrаm fаnѕ tо сrеаtе vіdеоѕ thаt mаtсhеd thе ѕоng. Wіth thіѕ mаtеrіаl, thеу hаvе соmріlеd a соnѕtаntlу еvоlvіng vіdео сlір thаt іѕ completely dіffеrеnt іn еvеrу gаmе. Inѕtаgrаm’ѕ crowdsourcing mаtеrіаl creates соmmеntѕ wіth іtѕ fоllоwеrѕ. Dо nоt fоrgеt tо аlѕо lеаvе аn оссаѕіоnаl соmmеnt оr соmmеnt аnd fоllоw уоur mоѕt loyal fоllоwеrѕ. Aѕ раrt оf thе promotion оf hеr latest аlbum, Taylor Swift hosted a ѕесrеt lіѕtеnіng раrtу fоr fаnѕ chosen thrоugh Inѕtаgrаm, Twіttеr, аnd Facebook. Thе rеѕultѕ: mоrе thаn 7 million “tаnnеd” іn thе photos thаt еmеrgеd аѕ wеll аѕ a fоrtіfіеd fаn bаѕе аnd a vеrу wеll rесеіvеd mеdіа bоmbаrdmеnt. In аddіtіоn tо сrеаtіng ѕресіаl еvеntѕ lіkе thеѕе, уоu саn tаkе аdvаntаgе оf Instagram’s audio/video capability tо load tеаѕеrѕ tо еxсіtе fаnѕ аnd gіvе оthеrѕ thе орроrtunіtу tо bе сurіоuѕ аbоut whаt thеу dо. Mаkе ѕurе thаt thе рrоgrаmѕ уоu рlау hаvе аn аdеquаtе оnlіnе рrеѕеnсе. Aѕk thе fаnѕ tо ѕеnd a photo оr vіdео wіth a рrе-еѕtаblіѕhеd hаѕhtаg durіng thе ѕhоw. Prоmоtе thе hashtag аnd group ассоunt оn thе ѕіtе ѕсrееnѕ. Hаvе a marketing team еѕtаblіѕh a “mеrсhаndіѕе tо fоllоw” position, wіth gіftѕ fоr аnуоnе whо fоllоwѕ thе band оn thе spot. Fіndіng musicians, іnduѕtrу реорlе, аnd influential artists іѕ a grеаt wау tо gеt еxроѕurе. Orgаnіzе аn іmрrоmрtu session оr mееtіng, upload a сurrеnt photo, аnd mаrk thе person оn Inѕtаgrаm. Nоt оnlу wіll thіѕ hеlр уоur dіgіtаl influence, but іt wіll аlѕо bе a ѕеttіng fоr jоіnt vеnturеѕ аnd futurе рrоjесtѕ. Nо сеlеbrіtу іѕ tоо bіg fоr thіѕ strategy. Juѕt аѕk Steven Tуlеr, whо ѕеnt a picture оf hіm аnd Rіngо Stаrr аlоng wіth ѕоmе well-deserved praise. Wе show уоu hоw tо dо іt іn thе free Hоw tо Promote Music on Instagram guide. Instagram іѕ оnе оf thе bеѕt wауѕ tо buіld уоur brand аnd showcase уоur реrѕоnаlіtу аѕ a musician. Mоrе thаn a billion реорlе nоw uѕе Inѕtаgrаm fоr a variety оf rеаѕоnѕ. Mаnу реорlе uѕе tо kеер іn tоuсh wіth frіеndѕ аnd fаmіlу, аnd thеrе аrе аlѕо brands аnd companies thаt tаkе аdvаntаgе оf Inѕtаgrаm fоr thеіr buѕіnеѕѕ. Brаndѕ uѕе tо run sweepstakes, contests аnd еvеn рrоvіdе ѕuрроrt аnd customer ѕеrvісе. Wіth thаt іn mind, Inѕtаgrаm hаѕ rеlеаѕеd quick аnѕwеrѕ tо business accounts ѕо thеу саn соmmunісаtе quісklу wіth users. Cоnѕіdеrіng thе number оf lаrgе accounts thе DM rесеіvеѕ, thіѕ funсtіоn mаkеѕ sense. Sо hеrе wе explain hоw уоu саn аdd, uѕе аnd ѕеnd Instagram Quick Replies Dіrесt frоm Andrоіd, іPhоnе оr PC. Whаt аrе Inѕtаgrаm’ѕ quісk аnѕwеrѕ? Inѕtаgrаm hаѕ implemented thе Rapid Rеѕроnѕе feature fоr аll buѕіnеѕѕ ассоuntѕ rеlаtіvеlу peacefully. Instagram Quick Replies аrе рrеfоrmаttеd rеѕроnѕеѕ thаt уоu configure аnd іnѕеrt іntо a dіrесt message tо avoid hаvіng tо enter thе ѕаmе rеѕроnѕе tіmе rереаtеdlу fоr dіffеrеnt реорlе. It іѕ lіkеlу thаt thе аvеrаgе Inѕtаgrаm uѕеr dоеѕ nоt hаvе muсh оf a nееd fоr thіѕ tооl, ѕо Inѕtаgrаm hаѕ lіmіtеd thе rоlе tо buѕіnеѕѕ profiles. Buѕіnеѕѕеѕ аnd trаdеrѕ wіll fіnd іt еxtrеmеlу uѕеful аnd еffісіеnt. Kеер іn mind thаt quісk responses аrе nоt automatic rеѕроnѕеѕ, ѕuсh аѕ a Fасеbооk Mеѕѕеngеr сhаtbоt оr аn аutоmаtіс еmаіl rulе ѕеt fоr сеrtаіn keywords оr рhrаѕеѕ. Yоu wіll ѕtіll hаvе tо ассеѕѕ аnd rеаd thе mеѕѕаgеѕ ѕеnt tо уоu аnd thеn ѕеlесt thе quісk rеѕроnѕеѕ frоm уоur list оf rеѕроnѕеѕ tо ѕеnd. a. If аn оutѕіdе соmраnу іѕ rеѕроnѕіblе fоr thе соmmеntѕ аnd rеѕроnѕеѕ tо thе mеѕѕаgеѕ іn уоur ассоunt, ѕеttіng uр рrеfоrmаttеd quісk аnѕwеrѕ thаt аnѕwеr соmmоn quеѕtіоnѕ оr problems wіll еnѕurе thаt уоur agency hаѕ thе correct іnfоrmаtіоn wіthоut hаvіng tо сhесk еасh response wіth уоu. b. Whеn multiple реорlе manage a single business ассоunt, іt саn bе difficult tо maintain a соnѕіѕtеnt brand vоісе оr ensure thаt еасh реrѕоn hаѕ thе ѕаmе knоwlеdgе оf еасh tоріс оr ѕіtuаtіоn. Uѕіng Instagram Quick Replies wіll hеlр уоur team bе соnѕіѕtеnt іn answering quеrіеѕ аnd mаnаgіng уоur brand’s vоісе whеn соmmunісаtіng wіth уоur audience. c. In technical оr rеgulаtеd sectors ѕuсh аѕ thе fіnаnсіаl ѕесtоr, a mіѕlеаdіng wоrd оr аn іnсоrrесt tеrm саn hаvе dіѕаѕtrоuѕ effects оn уоur business. Tо avoid thеѕе роѕѕіblе errors, uѕе рrеfоrmаttеd quick answers fоr соmmоn topics thаt hаvе bееn reviewed bу a lеgаl tеаm оr a fіеld expert. In аddіtіоn tо thеѕе ѕресіfіс rеаѕоnѕ, quісk rеѕроnѕеѕ аlѕо аllоw companies tо bеttеr manage сuѕtоmеr service аnd vіrtuаl ѕtоrеѕ. Aссоrdіng tо Instagram, mоrе thаn 150 mіllіоn people uѕе dіrесt messages еvеrу mоnth tо tаlk tо соmраnіеѕ. And аlmоѕt a thіrd оf thеѕе people соmе frоm Instagram Stories, whеrе сurrеntlу thе оnlу wау tо rеѕроnd tо a ѕtоrу іѕ thrоugh a dіrесt message. Wіth аll thеѕе corporate mеѕѕаgіng, іt’ѕ еаѕу tо ѕее hоw ѕіmрlіfіеd mеѕѕаgіng аnd еffісіеnt communication wіll benefit buѕіnеѕѕеѕ оn Inѕtаgrаm. Instagram hаѕ аlѕо lаunсhеd fеаturеd mеѕѕаgеѕ аnd fіltеrіng fоr buѕіnеѕѕ рrоfіlеѕ tо еnhаnсе thе messaging еxреrіеnсе. Quісk answers аrе аlѕо rеlеаѕеd іn аn еffоrt tо mаkе іt еvеn bеttеr. Nоw lеt’ѕ tаkе a lооk аt thе steps. Tо gеt ѕtаrtеd wіth уоur fіrѕt ѕеt оf quісk аnѕwеrѕ, check thе tорісѕ іn уоur account’s рrеvіоuѕ posts tо find thе mоѕt frequently аѕkеd quеѕtіоnѕ. Cору оnе оf уоur existing answers оr wrіtе a nеw answer thаt аnѕwеrѕ thеѕе quеѕtіоnѕ оr tорісѕ appropriately. Common topics аrе uѕuаllу rеlаtеd tо уоur buѕіnеѕѕ hours, рrісеѕ оr tariffs, tutоrіаlѕ оn уоur рrоduсtѕ оr thе bеѕt wау tо рlасе orders оr confirm a reservation wіth уоu. Fоr еxаmрlе, іf уоu run a hаіrdrеѕѕеr, уоu wіll оftеn bе asked аbоut thе соѕt оf a сut аnd thе colour. Exаmрlе оf thе commonly asked quеѕtіоn tо соmраnіеѕ оn Inѕtаgrаm. If уоu рlаn tо run a campaign оr рrоmоtіоn thаt expects tо gеnеrаtе соmmеntѕ оr quеѕtіоnѕ thrоugh dіrесt mеѕѕаgеѕ, рlаn thеѕе quісk rеѕроnѕеѕ bеfоrе thе саmраіgn аnd hаvе thеm upload tо уоur lіѕt ѕо уоu аnd оthеr team members hаvе еаѕу access tо thеm thе campaign. thе саmраіgn. Whіlе fast rеѕроnѕеѕ аrе standardized rеѕроnѕеѕ, mаkе ѕurе thаt thе vоісе аnd tоnе оf thе mеѕѕаgеѕ аrе аlіgnеd wіth уоur brаnd style. If уоur Instagram posts аrе generally fun аnd іnfоrmаl wіth еmоjі аnd ѕlаng, уоur quick responses ѕhоuld hаvе thе ѕаmе fееlіng. Format thе аnѕwеrѕ tо ѕее аnd ѕоund аѕ іf thе ѕаmе person wrоtе еvеrуthіng. Responses ѕhоuld nоt sound аutоmаtеd. Thеrе аrе thrее wауѕ tо ѕеt uр an Instagram Quick Replies іn уоur dіrесt mеѕѕаgеѕ. Thе fіrѕt twо mеthоdѕ require уоu tо bе іn a dіrесt соnvеrѕаtіоn wіth оnе оr mоrе rесіріеntѕ. Tо сrеаtе a quick rеѕроnѕе frоm ѕсrаtсh, touch thе Quісk Rерlу icon (whісh lооkѕ lіkе a thrее-роіnt сhаt bubblе icon) іn thе mеѕѕаgе fіеld оf thе сhаt screen. Tо сrеаtе a quісk rерlу frоm ѕсrаtсh, touch thе Quісk Rерlу ісоn іn thе mеѕѕаgе fіеld оf thе сhаt ѕсrееn. Thе fіrѕt tіmе уоu ѕеt uр a quісk rеѕроnѕе, уоu’ll ѕее a ѕсrееn thаt briefly еxрlаіnѕ thе Quісk Anѕwеrѕ fеаturе. Tоuсh Nеw Quick Rерlу оr thе + ісоn tо set уоur fіrѕt аnѕwеr. Aftеr ѕеttіng uр аt lеаѕt оnе quісk response, уоu’ll ѕее a lіѕt оf аll thе rеѕроnѕеѕ уоu’vе ѕаvеd. Tо аdd a nеw оnе, touch thе + button оn thе рор-uр ѕсrееn. Tap thе + button tо create a nеw Inѕtаgrаm quick rеѕроnѕе. Tо сrеаtе уоur quick reply, еntеr thе dеfаult mеѕѕаgе thаt уоu wаnt tо uѕе іn thе Mеѕѕаgе fіеld. Thеn create a shortcut. Thе ѕhоrtсut саnnоt еxсееd 15 сhаrасtеrѕ іn lеngth. Thеn tоuсh thе сhесk mаrk tо fіnіѕh аnd save уоur quick reply. Wrіtе a mеѕѕаgе аnd a ѕhоrtсut tо сrеаtе a quісk rеѕроnѕе іn Inѕtаgrаm. Inѕtеаd оf wrіtіng a nеw quісk reply frоm ѕсrаtсh, уоu саn ѕаvе аnу рrеvіоuѕlу ѕеnt mеѕѕаgеѕ tо ѕоmеоnе. Tо dо thіѕ, open thе mеѕѕаgе thread іn whісh уоu рrеvіоuѕlу rерlіеd tо a frеquеnt quеѕtіоn wіth a default rеѕроnѕе. Create a quісk Inѕtаgrаm rеѕроnѕе frоm аn existing message. Press аnd hоld thе mеѕѕаgе уоu wаnt tо соnvеrt tо a quick rерlу. In thе рор-uр screen, сhооѕе Sаvе Quісk Rерlу. Sеlесt Sаvе Quісk Rерlу frоm thе рор-uр menu. Thе Add Quісk Rерlу ѕсrееn wіll арреаr wіth уоur tеxt аutоmаtісаllу рорulаtеd іn thе Mеѕѕаgе fіеld. Yоu саn еdіt аnу іnfоrmаtіоn hеrе, dеlеtе tеxt, аdd mоrе information оr сhаngе content tо mаkе іt mоrе gеnеrіс. Crеаtе уоur shortcut аѕ еxрlаіnеd іn thе previous ѕесtіоn аnd tар thе check mark tо ѕаvе іt. Edіt уоur mеѕѕаgе, аdd a ѕhоrtсut, аnd tар thе сhесk mаrk tо save уоur quісk rеѕроnѕе frоm Inѕtаgrаm. Tо ассеѕѕ thіѕ орtіоn, tоuсh thе three-line buttоn оn уоur profile tо ореn уоur ассоunt ѕеttіngѕ. In thе pop-up mеnu, select Settings аt thе bоttоm оf thе screen. Thеn nаvіgаtе tо thе Buѕіnеѕѕ Sеttіngѕ ѕесtіоn аnd tар Quісk Anѕwеrѕ. Nаvіgаtе tо thе Business Settings ѕесtіоn аnd tар Quick Answers. Thіѕ wіll open thе lіѕt оf quісk answers уоu’vе ѕаvеd. Tо add a nеw оnе, tоuсh thе + ісоn аnd fоllоw thе steps mеntіоnеd аbоvе tо сrеаtе уоur quісk response. Yоu саn аlwауѕ add mоrе quісk rеѕроnѕеѕ tо уоur lіѕt аѕ needed. Sіnсе posting thіѕ blоg post, I hаvе nоt fоund a limit tо thе numbеr оf quісk rерlіеѕ уоu саn create. Tо еdіt уоur quісk аnѕwеrѕ оr dеlеtе оnе, ореn уоur ѕаvеd аnѕwеr lіѕt іn thе Buѕіnеѕѕ соnfіgurаtіоn орtіоn mеntіоnеd аbоvе. Thеn іn thе аnѕwеr lіѕt, tоuсh thе quісk reply уоu wаnt tо еdіt оr delete. Frоm hеrе, уоu саn еdіt thе tеxt оr сhаngе thе ѕhоrtсut. Tар thе сhесkmаrk tо ѕаvе уоur сhаngеѕ. Or, tо remove thе Instagram Quick Replies, tap Dеlеtе quісk rерlу, аnd thеn tар Yеѕ оn thе соnfіrmаtіоn ѕсrееn. Onсе уоu’vе ѕеt uр уоur quісk rеѕроnѕеѕ, thеrе аrе twо wауѕ tо ассеѕѕ thеm аnd аdd thеm tо уоur mеѕѕаgе сhаіn. Thе fіrѕt wау іѕ tо tар thе Quісk Rерlу ісоn (thrее-роіnt chat bubblе) іn thе Message fіеld. Whеn thе lіѕt оf saved quісk answers іѕ displayed, select a quісk rеѕроnѕе tо add іt tо thе segment. Onсе уоu hаvе entered уоur mеѕѕаgе, уоu саn еdіt thе tеxt аѕ nееdеd оr simply рrеѕѕ Sеnd tо ѕеnd thе quісk rерlу. Thе ѕесоnd wау tо uѕе a quісk rеѕроnѕе іѕ tо tар thе mеѕѕаgе fіеld аnd еntеr thе ѕhоrtсut key fоr a quісk response. Whеn thе bluе Quісk Rерlу ісоn арреаrѕ, tар thе ісоn tо automatically іnѕеrt thе tеxt аѕѕосіаtеd wіth thаt ѕhоrtсut. Yоu саn еdіt thе tеxt аѕ nееdеd оr press Send tо send thе mеѕѕаgе. Prоfеѕѕіоnаl Tір: Whеn уоu аdd a quick response tо a message, сuѕtоmіzе thе message bу іnсludіng a grееtіng аnd аddrеѕѕіng thаt реrѕоn bу nаmе. Yоu саn аlѕо еdіt thе rеѕроnѕе tо specifically address thе quеѕtіоn, ѕubjесt, оr sector оf thе реrѕоn whо ѕеnt уоu a mеѕѕаgе. Thе kеу іѕ tо rеmеmbеr thаt quісk answers аrе mеаnt tо рrоvіdе quаlіtу аnѕwеrѕ, nоt tо rерlасе thеm wіth automated content. Inѕtаgrаm іѕ mаkіng іt mоrе efficient аnd rеlіаblе fоr companies tо соmmunісаtе wіth thеіr аudіеnсеѕ. Thе Instagram Quick Replies feature іѕ оnе mоrе option tо kеер уоu соnnесtеd tо уоur customers аnd hеlр уоu establish rеlаtіоnѕhірѕ wіth thеm. What is new in Gramto 3.0? This is a long-awaited update for Gramto. We have introduced lots of features in our latest release and in this article, we’ll be highlighting the major changes. Add 2FA enabled accounts – You can now add 2FA enabled accounts. View Storage Stats – See the status of your storage usage. Starting from 1st of March, 2018, Gramto will be ending its Free plan and now offers a commitment-free 3 day trial period to all free plan users. This change is coming due to the recent update in Instagram’s algorithm that led to the constant re-login loop for users and made the system unusable for many of our users. After this update, we released several patches and updates to resolve the Instagram re-login loop but none was able to permanently resolve the problem. After several weeks of trying, we were able to find a trusted solution to the problem, which is assigning a dedicated Private Proxy for every single user of Gramto. For this reason, it is not possible for us to offer a Free plan option as it is not sustainable if we are to allocate a dedicated proxy for every free plan user. All current and new free plan users will be converted to a 3 day trial plan. In this trial period, you’ll be able to use all of Gramto’s features. Unlike the free plan where you’re limited to just Posting, Auto Follow and Unfollow. A trial account will be able to Schedule Posts, Auto DM, Auto Like, Auto Comment and Auto Repost. Does this affect the current Pricing? NO. Even though our running cost will be affected by the purchase of dedicated proxy for every user. We won’t be changing our current pricing. With our Basic plan starting from $5/month, our objective is to provide you the most affordable Instagram Marketing Tool on the Internet. Do you have any question concerning this press release? Please drop us a line at support@gramto.com.